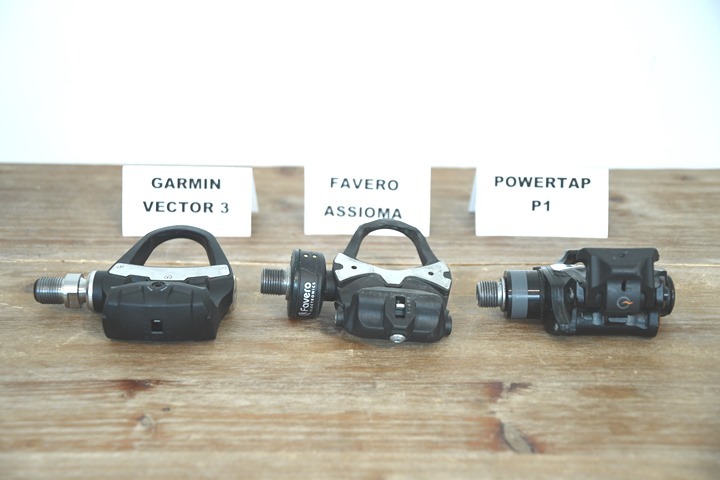 Over the course of the summer we’ve seen both Garmin and Favero roll out new pedal power meters. 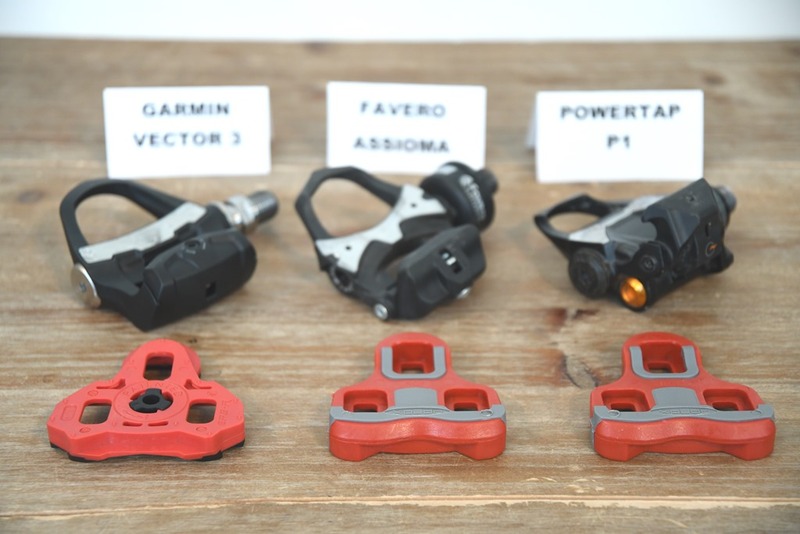 In Garmin’s case they’ve got their third generation Vector 3 pedals, while in Favero’s case they have their Assioma units, which are effectively 2nd generation BePro pedals. Meanwhile, PowerTap has had their P1 pedals in the market for over two years now – effectively raking in the cash over their competitors. All for a single reason: Simple install requiring no complex tools. And that’s really the reason for this post. We’re at a point now where Vector no longer requires funky tools, and Favero no longer requires an even funkier installation process. Vector also ditched the pods too. All three units can be installed in under 60 seconds, faster if you’re motivated. But there still are many nuances to each of the pedal platforms, and many of you have asked for a more detailed look into those nuances. So with that, let’s dive down the rabbit hole! First up we’ve got the weights. There’s no real reason to belabor this point, here’s the weights of each pedal, and then the total set of pedals. For each one I excluded spacers, since not all cranks/pedals require that. For fun, here’s the weights of the spacers. I just weighed one spacer from each, but obviously you need either one or two per pedal, again, depending on your cranks. To state the obvious, the Vector 3 is the slimmest of the bunch from a sizing standpoint, and the P1 the chunkiest. The photos otherwise kinda speak for themselves. The biggest drawing factor for all three of these units is the installation. All can be installed in under 60 seconds, or removed in under 60 seconds. And all can be done with small tools that can be easily travelled with. I’ve used the smaller one above countless times to install the PowerTap P1 on bikes in hotel rooms on almost every continent on this planet. Removal-wise, certainly a larger tool is better, but you can make do with the smaller one. What’s notable here is that small pedal wrench I found on Amazon (below). I’m really excited about that one since it allows me to travel with everything in a small Ziploc bag. Whereas a big pedal wrench might not be allowed in carry-on luggage (I like to travel light). No matter which one though – all of these are silly easy to install, as seen above. Garmin Vector 3: When doing a zero offset, you’ll get a torque value, allowing you to place weights on the pedals if you’d like to manually verify the torque value. PowerTap P1: When doing a zero offset it’ll show you a current status value that floats based primarily on temperature, within an acceptable range. This is valuable to determine if something is going askew. Favero Assioma: When doing a zero offset it’ll show you simply a success or failure message. You cannot see any shifts within a successful unit. So it’s kinda all or nothing here. Finally, what about settling. In my testing, all three power meters can be installed on a bike and used immediately without multiple rides for settling (as has been the case in some previous power meters). Still, I recommend doing 2-3 quick sprints of 4-8 seconds to ensure everything is tight. Then do a zero offset. Doing so, in my experience with all three units, will give you perfect results. Note, I’m only referring to the first time you install the units on a given bike. This entire settling process can be completed in under 30 seconds. In the IT industry one says ‘rack and stack’, but that didn’t really make sense for the title here, because there are no racks. Just Q-Factors, Stack Heights, and other measurement focused things. I think this category – more than any other – is full of specs that people think they care about, but don’t actually care about in the real world. We’ll start with the prime example of that, Q-Factor. Q-Factor refers to the distance between the centerline of the pedal and the end of the threaded portion. Below, is an example of the q-Factor from Favero, and for a single side. Often times this is also represented on a bike as the distance between the threads on the crank arms (both sides). A lot of people get really bent out of shape about q-factor, but then forget that the different bikes they have in their garage for different aspects of cycling all likely have different q-factors. For example, a road bike has a q-factor generally of ~150mm, while a mountain bike has a q-factor of 170mm. Jump on that WattBike? It’s got a q-factor of 173 but the Atom is 160. But wait, your gym spin bike has a different q-factor, and that’ll vary by brands and models too. Schwinn’s AC Performance is 170mm, while Keiser’s M3 is 197mm. Not to mention that the handful of studies that have looked at q-factor basically all said that there’s a slight short term impact to switching distance of q-factor, but then like anything else your body adapts. That’s no different than any other bike component. 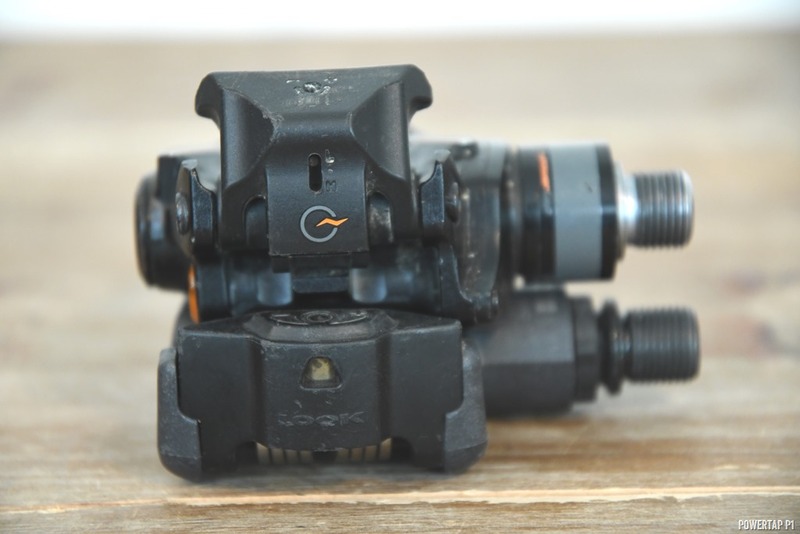 One caveat to this, is that the q-factor will change by up to 1-2mm depending on whether or not you use spacers, which in turn depends on your specific crank arms. For example, Vector doesn’t need spacers unless the pedals push through too close to the chain. The PowerTap P1 doesn’t need them on aluminum cranks, but does on carbon. And Assioma needs them if your crank arms have a slight indent in them where the pedal attaches. Next, we’ve got the impact of stack height on cornering. This gets to whether or not your crank arm would hit the ground while making a tight corner, likely in a race. Specifically, this is if you pedaled through the corner, and/or had stupidly placed your crank arm down on the side closest to the corner. The concern grows greater with longer crank arms, and is less of a problem with shorter crank arms. This was a fun one to measure. In my case, I’m running 175mm crank arms, which is slightly longer than the ‘average’ of 172.5mm crank arms. In order to measure this, I placed the arm straight down, and then measured the angle in which the bike would have to go in order to hit the ground. I used an iPhone with a level app that I validated first on a level surface. Then I trapped it in between the water bottle holder and validated it showed level as well. Next I tilted the bike until the centerline of the pedal touched the ground. Because I only had two hands (one to hold the bike, one to hold the camera), I couldn’t get the photo of it touching the centerline (I measured before I took the photo). 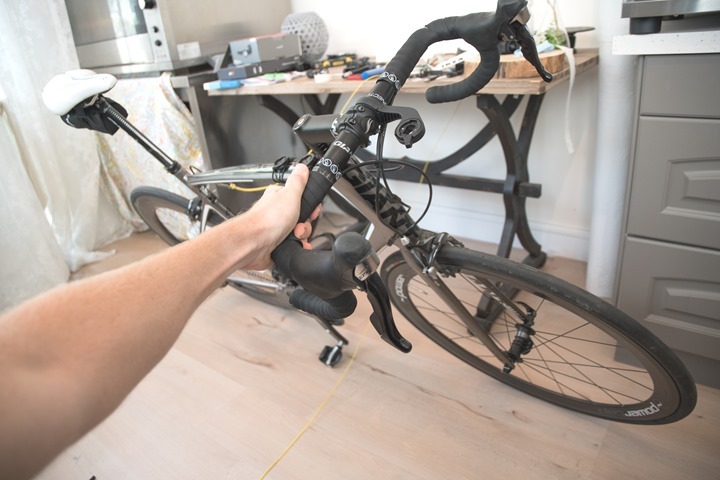 Also, I tethered the bike to a table via cable so I could lower it down slowly. I was somewhat surprised to see Vector 3 slightly bigger (29° vs 27°), so I did it twice more. But it shows you the impact of the spacers/washers. For both the PowerTap P1 and Assioma, I needed spacers. But with the slightly different design of the Vector 3, I didn’t need spacers, thus, it was ‘closer in’ to the bike and had more angular potential. I showed this same thing in the PowerTap P1 review, and to date I’ve seen only one person state they’ve hit their pedal on the ground while cornering (to which someone else immediately pointed out they’d probably have hit that pedal anyway, regardless of the slight increase in stack height). Now you may be asking – what’s a normal pedal? Well in measuring the same Look Keo pedal you saw up above, I managed to get it to 35° before it touches, so an addition 6° beyond anyone else. Why? Because the side of the Keo pedal spindle tapers inwards, as opposed to all of the other pedals have basically flat-sides of the spindle. Thus how they get more breathing room while cornering. On the other power meter pedals, these spaces are packed with electronics. So I’ll tell you a funny story. 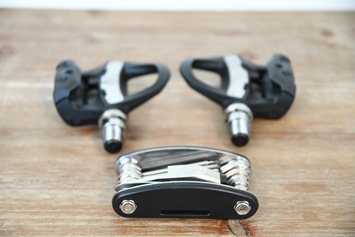 When the PowerTap P1 pedals came out, it was noted by myself and others that the P1 pedals required slightly different cleats (made by Xpedo, included in the box) in order to get a perfect clip-in. For some people, regular Look Keo cleats worked just fine. And even for me, if I had new Look Keo cleats, all was well. But if I had older/more worn Look Keo cleats, then I’d have pop-out issues. A bunch of folks got really caught up on this. Then, fast forward to the Favero BePro pedals. They too also used the exact same Xpedo cleats. 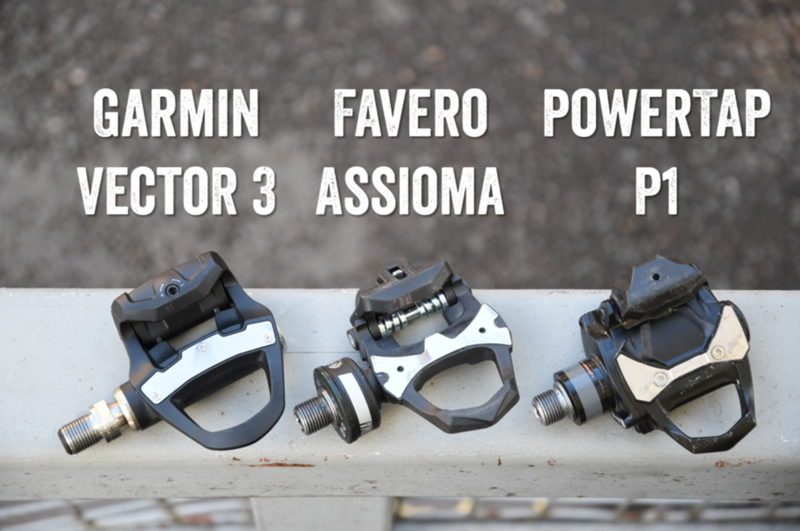 Same with the new Assioma pedals. I noted the cleats, but didn’t talk about it as much (for no particular reason). Nobody talked about it. Seriously, nobody cared. I don’t know why – but I found the contrast interesting. 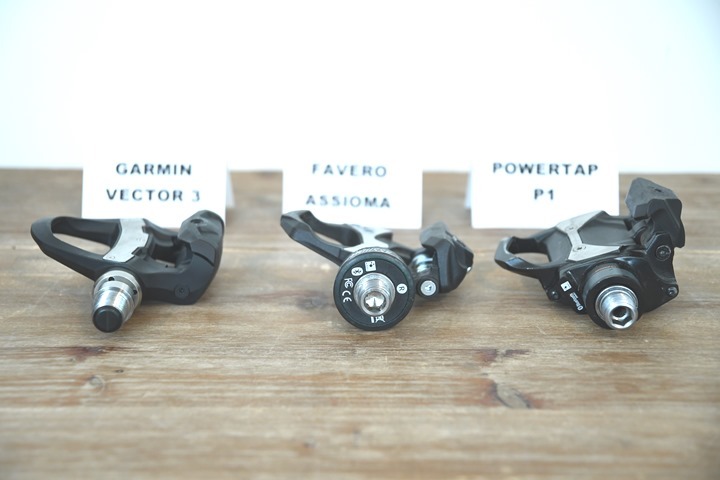 In any case, both the PowerTap P1 and Favero Assioma pedals use the same Xpedo cleats, both of which are included in the box. And in both cases, if you’ve got relatively new Look Keo cleats they’ll probably work just fine. 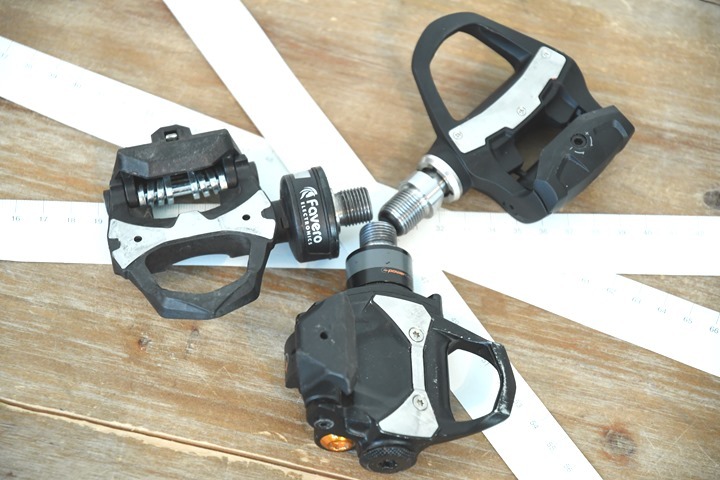 With Garmin Vector 3, they use Look Keo cleats as-is, with no additional requirements. They also include a pair in the box too. 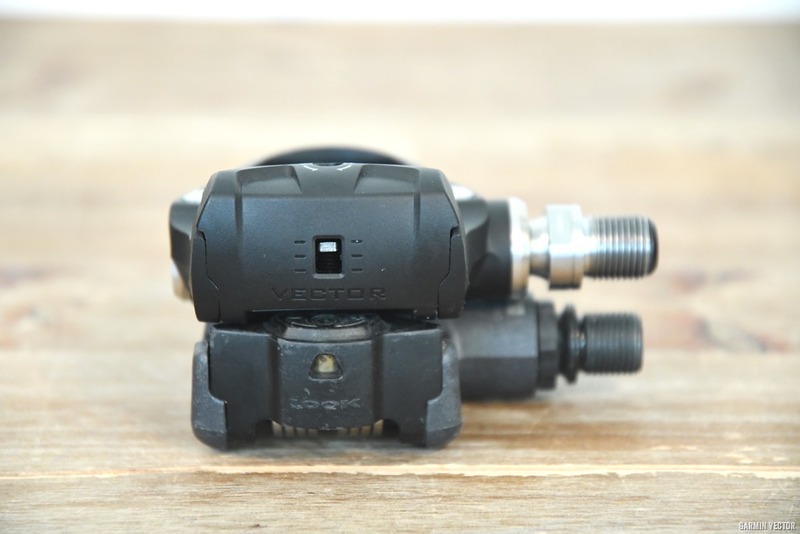 Note that Vector 3 does not support the Shimano swappage kit that Vector 1/2 did. Maybe down the road, but nothing in the cards today. Just a quick note that float is actually determined by the cleats you use, and not the pedals themselves. In the case of all three companies, you’ll get red cleats that have 6-degrees of float in them. You can also buy grey cleats that have zero float in them. Lastly, some pedals are limited in terms of how heavy the rider can be. Of course, there’s not truly a rider weight limit, but rather an output wattage limit. Except making that clear to consumers would be a nightmare. So instead they do math backwards a bit since in general heavier people can output more power than lighter people with the same amount of effort. With that, let’s talk tech. Next we’ve got various tech specs that didn’t fit anywhere else, mostly on the electronic/transmission side. First up is how the darn things are powered. As for battery life, you’re going to have to go with claims here as the standard. I can say that I believe the Favero batteries are in the ballpark of the claims, as are PowerTaps. I haven’t put in 125hrs yet on a single set of Vector 3’s to know for certain. Now, when it comes to rechargeable batteries, some have concerns. I’m going to quickly copy/paste what I wrote in the Assioma review below. But ultimately it’s just a personal preferences thing. The connector on the Favero Assioma is a million times better than the non-awesome micro-USB connector on the Favero BePro units. From the Favero Assioma In-Depth Review: I’ve seen some concern about what happens when the batteries ‘die’, apparently in reference to how you might swap them out. Some of this is due to misunderstandings about how rechargeable batteries die. First off is that batteries are generally rated to a certain number of recharge cycles, in the case of the Assioma battery, that’s estimated to be about 500 cycles (per an e-mail from Assioma). Once it reaches that number, they don’t stop working. Instead they might slowly degrade, perhaps to 80% of battery capacity. With a battery life of 50 hours, and the 500 recharge cycles, that puts you at 25,000 hours of battery life before it starts to degrade. That’s 24 years of riding 20 hours per week. Or almost 50 years if you rode 10 hours per week. Seriously, you’ll have long moved onto something else by then. Battery cycle time is not your concern here. All three units contain status LED’s that allow you to validate basic operation. These lights are also used for things like firmware updates and such to let you know what’s going on. On the Vector 3 you can see it at the end of the spindle (green light), on the PowerTap P1 the green light is to the left on the pedal body, and on the Assioma it’s around the pod. There are no official standards for Bluetooth Smart Torque Effectiveness or Pedal Smoothness at this time. When it comes to head units, within the core settings above, all reputable head units support all these different items. One caveat though is Bluetooth Smart-only head units can be a bit more tricky, as often times they’ll only pair to a single side of a dual sided power meter. For example, Suunto Spartan series units can only connect to either the left or right side, not both. As such, you’ll get one side doubled (in which case you might as well just save a boatload of money and buy a single sided power meter). As a general rule of thumb, most in the power meter industry would recommend using ANT+ over Bluetooth Smart when connecting to your head unit, despite the unit broadcasting both. The exception to that being if you experience drop-outs from your power meter to head unit (none of the units here though are prone to that), in which case you could try to see if Bluetooth Smart will resolve the drop-outs. Of note is that metrics like TSS (Training Stress Score), NP (Normalized Power), and many others are not at all power meter model dependent. Rather, they are dependent on the specific head unit and/or training platform you use. Now in addition to core power metrics seen above, two of the models have different advanced metrics that can be shown. These include Garmin’s Cycling Dynamics platform, as well as PowerTap’s advanced pedaling metrics. I’ll briefly run through both (Favero does not have any such platform/app/etc. at the moment). PowerTap P1 Metrics: In the case of PowerTap you can leverage the PowerTap Mobile App to get additional metrics that are not available on a normal head unit. These metrics specifically include the Force Vector, which shows the angle and amplitude of the force – in newton’s and placement on the pedal stroke. In addition, you’ll get a plot within the app of where your pedal stroke is heat-map style. The only challenge with these metrics is you have to have the app running to see them, and there isn’t any method to export/save the data. Full details in this post from them. 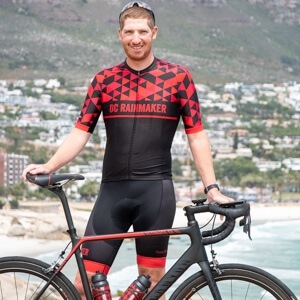 Note that PowerTap has been working with some bike fit companies though to incorporate metrics in their products, though that won’t really help you as an end consumer. Garmin Cycling Dynamics: Of course, the behemoth in advanced power meter pedal metrics is Cycling Dynamics. Unlike PowerTap, these metrics are displayable on a head unit (albeit at present, only Garmin’s) as well as later on in Garmin Connect. Further, 3rd parties can also display the data too (WKO4 does today). These metrics span a wide number of areas from platform center offset to seated/standing time. Some of these metrics can be used in bike fit, while others are clearly more geek-oriented. For example, I can tell you my max and average power for both while I’m seated versus standing. There’s likely something to be learned from that, but mostly it’s just a fun geek stat. Whereas aspects like PCO (Platform Center Offset), could be useful for looking at whether or not your bike fit is proper. PCO, PCO – Avg, PCO – Lap, Power Phase – L, Power Phase – L. Avg, Power Phase – L. Lap, Power Phase – L. Peak, Phase – L. Peak Avg, Phase – L. Peak Lap, Power Phase – R., Power Phase – R. Avg, Power Phase – R. Lap, Power Phase – R. Peak, Phase – R. Peak Avg, Phase – R. Peak Lap, Time Seated, Time Seated Lap, Time Standing, Time Standing Lap, Average Power Standing, Max Power Standing, Average Power Sitting, Max Power Sitting, Average Cadence Standing, Max Cadence Standing, Average Cadence Seated, Max Cadence Seated. Phew. Again – at present these are only available on Garmin head units, so if you’ve got something like the Wahoo BOLT, you’re outta luck here for recording the advanced data. I added this as a specific section since I’m sure many will ask about it. At this point, when it comes to accuracy, all three units deliver where it counts. 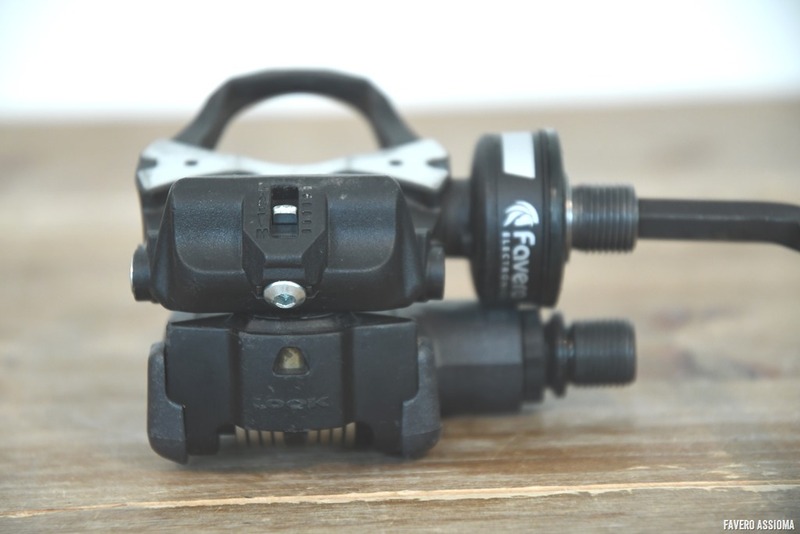 You can see this within my PowerTap P1 in-depth review, as well as my Favero Assioma in-depth review. Given the Garmin Vector 3 pedals are in the final stages of firmware, they are still finalizing things. But accuracy of the power numbers isn’t something I’m having any issues with. So all look good there. Note that I’ve seen some older posts/pieces/videos referencing PowerTap P1 accuracy issues, specifically on climbs. This was solved almost two years ago in a firmware update. Similarly, I’ve also seen some tests people did with Q-Rings on the PowerTap P1 in the first few months. Ironically, these tests I’ve seen were done compared to other power meters that didn’t support them. There are certainly quirks of the P1’s that people have complained about over the years, but accuracy simply isn’t one of them these days (nor has it been for a long time). 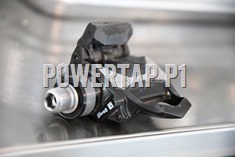 As for q-ring/non-round rings/oval rings at large, the only pedals that officially support them is the PowerTap P1 (they didn’t upon launch however). 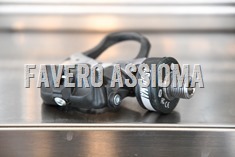 Neither the Favero Assioma or Garmin Vector pedals will give correct/accurate power numbers. They won’t be horribly far off (2-4% in most cases), but they won’t be accurate either. Again, at that point, you might as well buy many cheaper solutions (even single sided) and save the money. Note that the PowerTap P1 pedals were dropped in price from $1,199 later the same day after Garmin announced their Vector 3 pedals at $999. Obviously, I think the Assioma price is superb. It’s a very good deal, no questions about that. 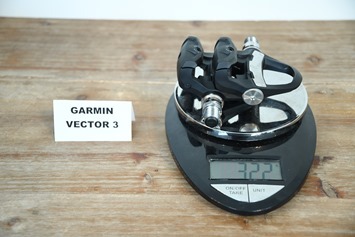 And I think the Garmin Vector price is fair, given the reduced size and lack of pods compared to the other two. Not to mention the far more detailed analytic metrics of Cycling Dynamics. It’s the PowerTap P1 price that I’m not sold on. 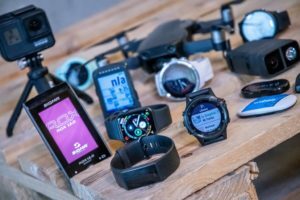 While they obviously have inventory in the market (whereas Garmin will probably be supply constrained for at least a few weeks, maybe a month), the P1 is simply a less desirable product now compared to Vector 3. Whether it be size or weight, or the metrics it transmitted. I would have thought $899 would have represented a fair price for the P1 at this point. It’s ‘more’ than Assioma from a functionality standpoint, yet less than Vector 3. Like the whole bears and porridge thing. Note, for lack of anywhere else to put it, all three companies have single-sided variants (PowerTap P1S, Garmin Vector 3S, Favero Assioma Uno). This simply means they give you a power sensing left pedal, and then an empty right pedal. The left pedal’s power is just doubled. No magic here at all. It’s essentially the same scenario Stages pioneered years ago with crank arms. My guidance would be that if you feel like you’re going to upgrade to the dual solution down the road (all companies enable that), then go forth. However, if that’s not the case, and you’re not buying for portability/transfer reasons, then I’d probably save the cash and just go with a single-sided crank arm solution (I.e. Stages, 4iiii Precision, etc.…). Alternatively, I’d look at doing proper total power instead of a left-only solution via something like the Power2Max NG ECO, Quarq DZero lineup, FSA PowerBox, PowerTap C1, or similar. Proper total captured power (but not dual left/right split) is ALWAYS better than just left-side only doubled. Always, always, always. Anybody who tells you otherwise should be kicked in the balls*. I’m not entirely sure at this point why I’m even including the comparison tables, other than for your graphical consideration since my power meter database doesn’t even come close to having all the random specs seen here. The above post details more data points than the comparison tables do, but perhaps this will make it a bit clearer in case you got lost in my fog of text and photos. Phew! Note that you can compare any other power meter you’d like within the product comparison tool here. Phew. Seriously, I didn’t expect this post to be this long. Sorry, not sorry. I started off with what was going to be an innocent little product comparison table post, and then it spiraled out of control. Here’s the thing, nothing I say in this summary is going to cover what the previous 7 or so sections didn’t already cover. But what I can tell you is that all three of these pedals are solid, and I’d be happy to use any of them. Certainly, they each have their own minor pros and cons. Be it price, size, transmission specs, or otherwise. But at the end of the day, I can take any of these sets of pedals in a single plastic baggie with me while traveling, and easily attach them to any bike on this planet (or at least, any bike I’d want to ride). And I can do so in under 60 seconds and be riding immediately and with power I’d trust. And honestly, that’s what it’s about. Find the pedal solution that works for you and your specifications, but all of these are good options. To dig deeper into any of the three units, check out the full in-depth reviews or posts below (full review soon for Vector 3, once final firmware is achieved). I’d rather not buy power meter pedals, as other triathletes in the transition zone can quickly steal them (yes this is a thing). It is a shame really, because pedals have the huge cost savings of covering all your bikes. I feel like if you are using the Vector 3, the best bang for your buck is with a Garmin device. If you have a Bolt or another head unit, and don’t plan on getting a Garmin head unit, you can look around. Again, I’m poor, so waiting for the holidays to make this truly a win. My point with that line is that if you’re going to do a left-only unit, then throw all caution to the wind. Spend less. The accuracy study shows what I see as well: Left/right balance matters. Since Stages just doubles left-only, it’ll give variable accuracy. Do note, while the rest of that study is well intentioned, there’s a lot of gaps there. In order to get units they kinda borrowed from random people. You’ll note model numbers are missing on many – so we don’t know the difference between a Quarq DZero (one year old), and a Quarq from 7 years ago. Same with Garmin. That’s a huge difference. Also, we don’t know the condition of those units (i.e. 7 year old versus now). I overall like their procedure actually, but the execution and tracking of the units used in my opinion leads to incorrect or at best misleading statements. Do you know if favero are planning to bring out some ‘cycling dynamics’ functionality to match garmin/powertap? Not that it matters since I am just waiting for my assiomas. I haven’t heard of anything like that. Great pedal review. Thanks. If you had only 1 choice for power, would you recommend a power meter system OR a smart trainer. I know this compares apples and oranges, where one is inside-only and the other is inside/outside. In my case, I’m 68y and don’t race. However I’m a serious rider who enjoys training inside (really, I do) during long, cold winters and especially like big mountain climbs in the summer. 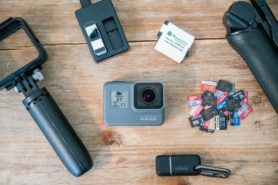 These products cost around $1,000 and are big investments, so I need to choose between them. What’s your advice. Having faced the same dilemma myself I decided that the way forwards is unquestionably to buy a power meter first for the simple reason that you can use it indoors on a non-smart trainer for power based workouts (such as on Zwift) and outdoors as well where it will really help you to improve through pacing. 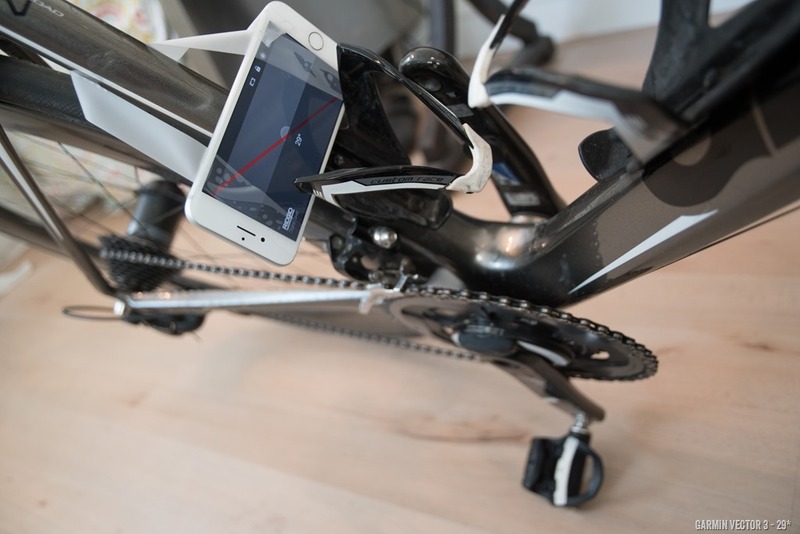 Obviously you can’t use a smart trainer to measure power when you’re riding your bike up a mountain outside! 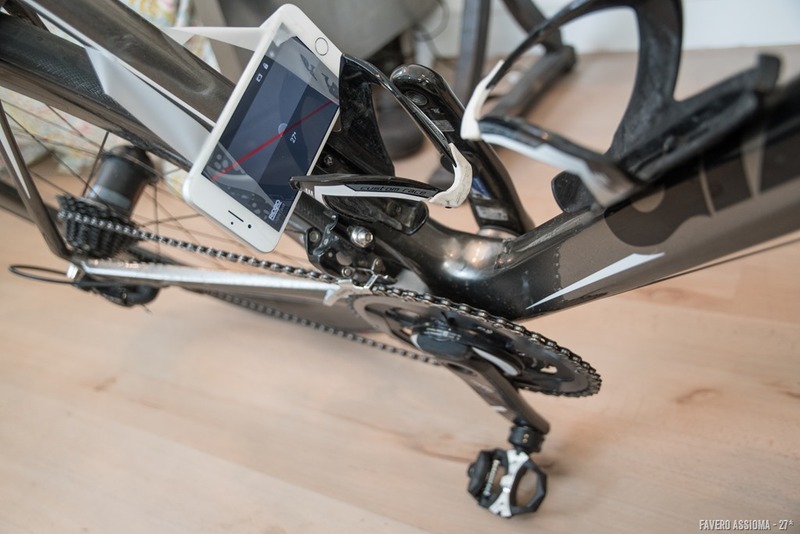 I’m not Ray (who has as far as I can tell about the most experience in all things bike of anybody), but my opinion would be to definitely get a smart trainer first. If you are riding indoors the payoff is huge (in my opinion) with ERG mode, Zwift compatibility and associated realism, etc. You won’t get the virtual world feedback with power pedals. Heck, by next year pedals will drop in price anyway! Richard–you might be able to do both. Usually in November there’s a 20% off sale so if you went with Assioma pedals and a Wahoo Snap/Elite Direto/Tacx Flux you could be right in that range. Wahoo also sells refurbished Snap’s and Kickr’s on their website (not in stock all of the time–you have to check back regularly). I just got an original KICKR for 650 USD and I have to say riding Sufferfest on ERG mode is pretty spectacular compared to dumb trainer–I can’t wait to try Zwift once it gets colder. I think you fall into that camp of maybe getting more benefit of a smart trainer. I’d look at it this way: If a trainer with apps motivates you more to train through the winter, then I’d probably hedge that way. Meaning that if that intersting/excitement is a better drive to staying on the bike and getting in super-high quality workouts, then it probably makes more sense. Though heck, with some of the power meter price drops this week, you can basically get both for the same cost now. If you get TrainerRoad and the Kurt Kinetic Roadmaster fluid trainer, TrainerRoad will estimate your power based on your speed and cadence, assuming you have a head unit that will send the information to TrainerRoad. Eliminates the need for a power meter indoors. I’d get the pedals over the smart trainer. You don’t need a smart trainer if you have a good fluid and the pedals. Whoops. I just realized I gave you confusing advice. My point was that there’s more value in having the pedals for outdoor training. Using a fluid trainer, you can get the resistance you need and still use Zwift and TrainerRoad. You don’t need ERG mode with a good fluid trainer. It’s far less beneficial than having the pedals outdoors. Great post! Seems the comparison table still has $1,199 for the P1. Odd, I thought I changed that in the database. Ok, changed again! Hi Ray, thanks for the comparison! Didn’t find anything on ovalized chainrings. Hope I didn’t miss it. Any Information on comparibility? Funny, just noticed that as well, already fixed! In your summary chart you have the weight of two P1’s but one of each of the others. Good call – just standardized on single-pedal. This peer reviewed NIH paper disagrees with you. Yeah, the entire industry (both cycling and academia) has somewhat settled on the +/- nomenclature. I’ve got the Assioma Duo and am attempting to use them only with IOS rather than a bike computer. The cyclemeter app actually supports connecting to both sides and lets you configure the power contribution percent from each side – pretty cool. However, i can’t find any way to do a zero-offset. It seems like something that could be included in the Assioma App, but it isn’t. Do you know of any way? Give the Wahoo Fitness app a whirl (the free one). A quick test shows me being able to pair both sensors and illuminate the calibrate button, but my iPhone is all ticked off on the BT stack right now after an update last night and keeps dropping the connection – so I can’t say for certain what happens after that. I noticed on the Garmin website, that the FR 910xt unit I have is not on their compatible list of head units for the Vector 3. Does this mean I won’t get the advanced cycling dynamics but just power and cadence? Or I can’t use the Vector 3 and 910xt at all? Nice job as always. I think it is also important to compare the companies and their support. My P1 pedals are a couple years old and started dropping out on high power intervals. I dropped them off at Saris after IMWI on Monday and expect them in the mail today all fixed up free of charge. Saris can focus on power (though they have several other products now) Garmin has their hand in so many other honey pots that I would be shocked if I got the same service. Just something that we, the customer, need to consider. Support is a really tough one to capture. I kinda look at things holistically across a lot of people. For example, I can counter your example with a handful of people in Europe that PowerTap has annoyingly told to send back their pedals to the retailer , who in turn send them back to Madison (USA). All of which takes 2-4 weeks…with no power. Inversely, I can counter your other example, Garmin, with them going out of the way on weekends at 2AM via forums to provide support for users the night before a race. Generally speaking people are very happy with Garmin Vector support specifically. On the Favero front, there’s less data points (and I think that’s a good thing), but it’s mostly positive, save for a few oddities here and there. I have Stages and the P1 pedals. I had the 1st edition stages, and my arm had a cracking issue (not stages issue, really the arm manufacturer). Stages overnighted me a new arm both times with return label when this occurred. Saris support when my pedal broke required me to ship the pedals back at my expense and it took over two weeks before I got them back. Any chance pigs will ever air-deliver a deal between Speedplay and one of these guys to come up with a Speedplay-compatible solution? I realize the development cost and market-size would probably make this totally uneconomic, but I sure would like it. I haven’t heard of any movement by anyone on the Speedplay front. I think there’s a lot of factors at play there, one of which is licensing/etc agreements with Speedplay themselves. A note about the “Advanced Metrics” with respect to PowerTap P1 pedals. Those metrics are ONLY available if you have an iPhone, since PowerTap refuses to create a comparable Android app. It’s been an issue for a long time, but they’ve nothing about it, other than the usual BS of “we’re working on it”. Their “solution” is for Android users to use the Rouvy app. Which requires a subscription. Bottom line… If you’re an Android user and expecting PowerTap to do anything other than develop for iOS; don’t believe a word they say. Support another company instead. Does Rouvy though require a subscription for that piece? My understanding was certain sections are actually free related to these portions. When I contacted them 3 months ago, they said it wasn’t even on the roadmap. They sent me down the route of some PC windows application. @Ray Realtime analysis of pedal dynamics requires a premium subscription. And without a subscription, “freerides” in the Rouvy app are limited to 1 hour anyway. 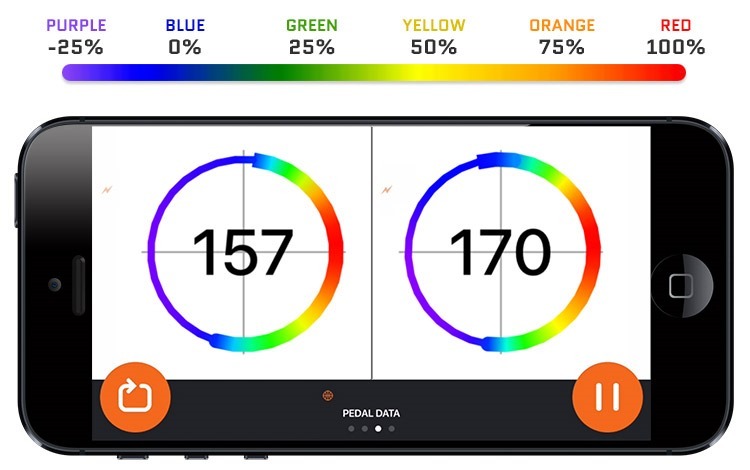 PowerTap has been dishonest about developing an Android app since the pedals were first released. If that matters to you, then best to avoid giving them your money. Interesting. I’ll push back as to why. As for them deferring firmware/etc functions into the Virtual Training/Rouvy app – I’m in agreement with the theory there they have – no reason to re-invent the wheel. But agree that for things like pedal analysis there shouldn’t be an iOS/Android payment tier split. One correction: grey Look Keo Cleats have +/- 2.5° of float, the black ones have no float. So to clarify, you should be able to use any standard Look Keo cleats with the new Garmin Vector 3s, right? I wonder how these compare to Shimano. Be classy, no need to resort to foul language. Make believe your mother is reading. You otherwise have a world class site. Maybe ‘should be kicked in the balls’? I know what you’re saying, but I didn’t need to read that. It was an amusing line and a joke. Don’t be so sensitive. Made me laugh. I enjoyed that remark so much, I feel obligated to respond. If I wanted no humor, I’d download the manuals and read those. What should we do if a woman tells us that? One more aspect: do you know of any differences in the pure mechanical quality (bearings, strength, play, accuracy, whatever) between the three pedals? What is the downside when I switch from e.g. Dura Ace pedals or top level Keo (if they exist?) to one of these pedals (other than more weight)? Looks like the DCR discount code doesn’t work on the Vector 3s making the Assioma pedals that much better of a deal. Will there be powermeter pedal options for the cyclocross / mountain bike market any time soon? I wonder if the running shoe insole power meters could be adapted, but I’m sure accuracy would be terrible. I’d love to have a power meter that could be swapped across the mtn and cx bikes. This is my dilema as well. I need something that I can switch between my road/gravel and mountain bike. I already use mountain bike pedals (egg beaters) on my road/gravel bike so a MTB solution would be great, especially that the gravel scene is growing so much lately. 4iii or stages on a shimano crank arm. That’s what I do. Can’t recommend the P1’s. Sent back 2 pairs within 2 years, without riding in harsh conditions. Besides, they really look ugly. The difference between them and regular pedals is notable, particularly racing crits. If you race you will find yourself unable to pedal through corners that the rest of the group can pedal through. I have to agree about the P1s clipping frequently on my race bike, I have them since they came out and I have the battery caps ground down to the point of being almost unable to screw them back in properly. Noticed that I was indeed unable to pedal through at some angles when others (immediately in front of me ) are still turning their pedals. (my cranklength is 172.5 btw). Otherwise really good at what they are supposed to do. Just wouldn’t buy them again seeing how the Vector 3 turned out, even if they were at an inferior price. I have to agree. Anyone racing crits with sweeping corners flat out will notice the issues of grounding pedals. I’ve taken off a lot of material from my Garmin Vector 2 as you simply have to pedal through corners. 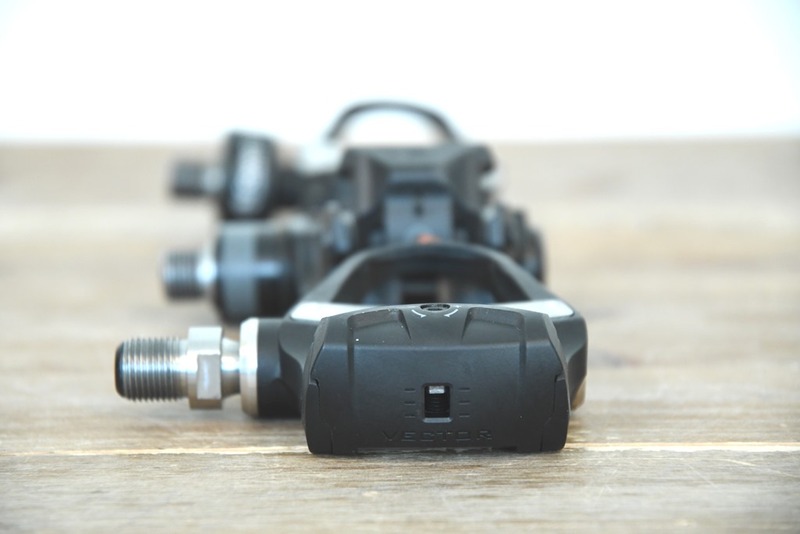 It’s really useful to see the different lean angles in the article, but I find it odd to suggest it isn’t really an issue on power meter pedals designed for competitive cyclists! I’d been considering a second set of PM pedals but think I’ll have to avoid all of these for limited cornering given the battery housing/stack. I’ll be looking at chainring/spider PMs next. 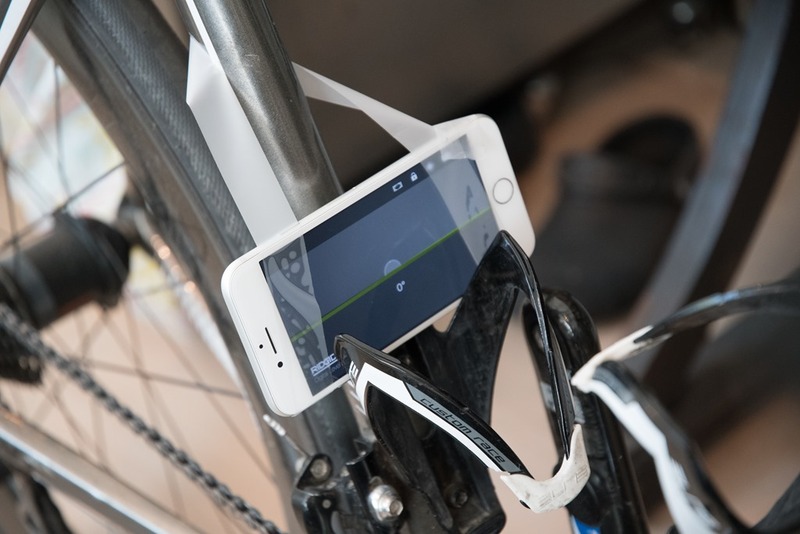 Did Powertap make an android app yet? Last time I spoke to them they were iPhone only, missing 80% of the market. Massive oversight. Basically means you can’t upgrade the firmware or benefit from any of the advanced metrics. Ray, thanks for the review. Do you know if there exists something similar but with MTB pedals? Not to nit-pick, but thought Garmin provided Exustar Arc R2 cleats with the Vectors? Not “OEM” Keo cleats? For me this is less about the cleats, it is more about being able to use one pair of shoes on my bike with power pedals and another without. So far my limited sharing of my Keo pedals and “My Girl’s” P1 pedals everything seems OK. When she got the P1s we did get a set of Xpedo Thrust pedals for her second bike just to ensure “perfect compatibility”. 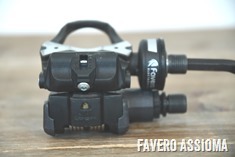 And the contrast between Favero and PowerTap I attribute to PowerTap saying “don’t use Look cleats” and Favero saying it’s OK.
Are there any differences in their pedal bodies that create different behaviors, or if Favero is just being more casual about it? I have the P1 pedals and I’ve hit them when powering through a turn on the IM Santa Cruz route. I’ve ridden West Cliff Drive hundreds of times, and never hit a speedplay, but use the P1s one time and I hit them. Nearly caused a crashed. I really would like to know why powermeter are so expensive. Mostly because power meters are really hard to bring to market. It usually takes 2-4 years of R&D time, and the products and components during that time cost a lot. This is especially true in pedal based power meters. Whereas the component cost for something like a pod attached to a crank arm is in the tens of dollars. Also, the market will bear it. Watch this video and you will understand why…link to youtu.be It is not just the long R&D process, but also high precision engineering precess in power meter production. Do you think this is a genuine possibility with the Vector 3s given that the batteries and electronics all need to be housed internally now as well? Are the batteries currently housed inside the spindle? Is there an estimate of how long the pedal spindles will last before servicing them and how much of a pain would it be to get them serviced? At one point PowerTap did publish some numbers. I’ll see if I can find them. Few days ago I damaged one of the Vector 2 pod on rental bike. It would not happen with Vector 3. I wish Garmin have trade in program. Now I have to wait pedal pod to be delivered, and my staying at home short, just loosing time without PM. You mention in your review that all three companies offer the ability to upgrade from their single sided versions to the dual sided. Is this true for the P1S? As far as I can tell Powertap doesn’t sell an upgrade kit. That was the plan. Let me validate said plan is still the plan. I assumed it came out almost a year ago when they announced. odd. To borrow your phrase from above, that’s a kick in the balls. I’m just stuck with a single-sided solution? How hard can it be to just take my single-sided unit back under warranty then send me a dual sided kit for the price difference? Ray, in the installation section it should be “make do” rather than “make due”. Dumb question. Do pedal-based powermeters take into account of the upward forces when you pull up on the pedals? Or do they only measure power on the downward portion of the pedaling motion? Yup. 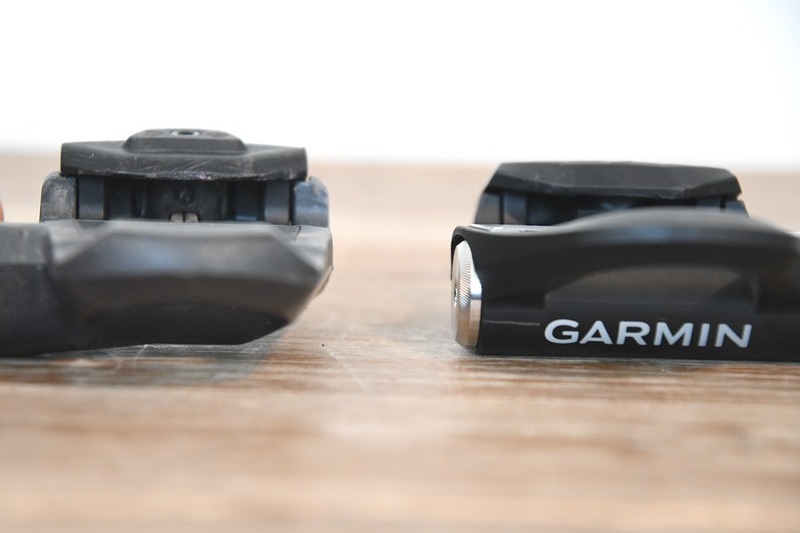 You can actually see it in the case of PowerTap and Garmin within their advanced pedaling metrics. The Assioma pedals look great value for money compared to the others but I am still reeling from the revelation early in the review that you manage to take a bike multitool in hand luggage on a plane! Do you never get challenged? I tried it once at Manchester, UK and lost one to the security team who conviscated it on the spot. It’s always entertaining to me what security checkpoints will allow/disallow. For example, TSA allows tools up to 8″ long I believe, yet sometimes they’ll reject specific items below that length (that aren’t on the list). French airports (CDG) are sorta in the same camp. We had a small allen key removed once saying it was a threat, meanwhile they allowed an entire crankset…with chainrings on it…through. No kidding, I actually took a whole crankset in my carryon luggage*. I have the Vector 1S (yes… I have regrets…) So, I’m waiting that the upgrade kit would have a bigger discount (is still at $699 !!!). Do you think this will come any time soon? I’m not aware of anything planned there unfortunately. I asked a few bike stores and they also didn’t know about any future discounts. I don’t get it. I want the full dual power, but upgrade it with Garmin it will cost me $499, but if I get NG ECO is 499 euros, the Powerbeat for $399 or just for spite I could buy the Favero for $799. Yeah, I think you’re ultimately looking at a case of Garmin believing they have a better (or perhaps more appealing) product and can charge more. My philosophy on single sided pedals is simple: If you want to buy the left-only option now, and do indeed plan to upgrade down the road when budget allows, then go forth! However, if you only plan to buy the left only pedal, I’d recommend instead going with a full-power solution that’s on the crankset/spider, for roughly the same price or cheaper. 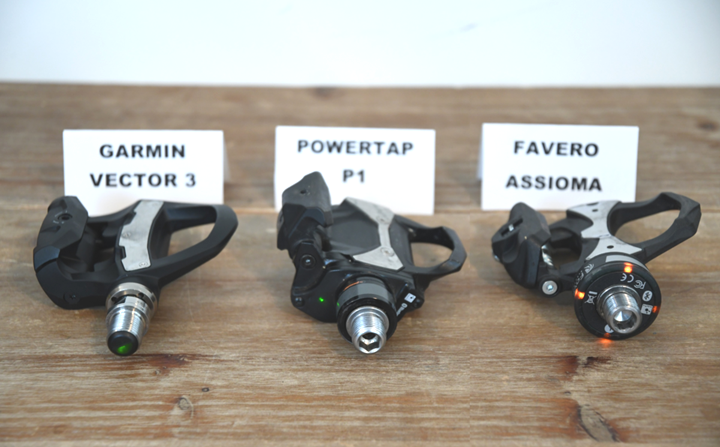 These would include the Quarq DZero, Power2Max units, and PowerTap C1 (or G3 hub). All capture total left/right power, as opposed to just left leg doubled. Thus, they are inherently more accurate. Does Assioma Favero Duo work properly with the Polar V800? Does the watch connect to both pedals? Great technical review as ever. It would be nice to acknowledge issues that people have noted with the various pedals. I guess that is more applicable to P1s as they have been around for a while and built up a history but the general issues will apply from the older Vector2.and the current BePRo pedals. Yeah, I tried to figure out where to fit some of that in, while also being accurate (same challenge with addressing support, some people have great experiances, others less so). And sometimes it’s a numbers game. Meaning PowerTap has sold boatloads of P1 units, so in some sense you’ll see more issues (3-5% of 20,000 units is more than 3-5% of 2,000 units kinda thing). 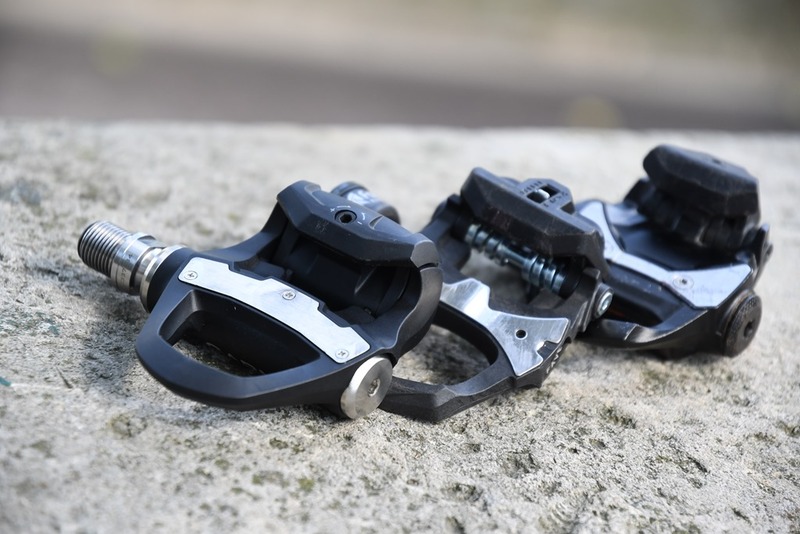 It’s also tricky differentiating what may be pedals from 2 years ago (first-run type issues), compared to pedals being made now – since we know changes have been made since then. 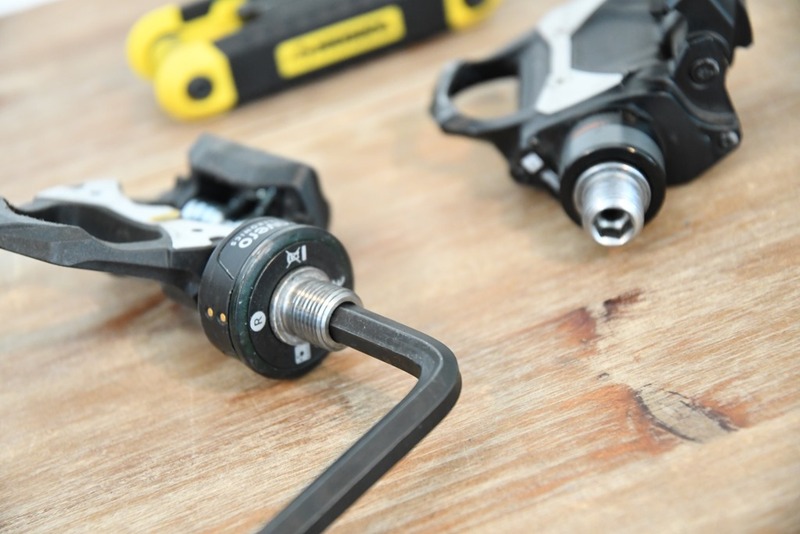 Can you shed some light on, why the need for torque wrench has gone, for the V3? I mean, the pod went from being between the spindle and crank arm, to being around the spindle, between V1 and V2, so I could understand if the trq wrench was dropped there. But V2 and V3, seems to have the same spindle/crank arm interface, so why now? To me, it smells like Garmin is removing a “losing point” political, more than technical. And sacrificing maybe accuracy? I know your tests don’t indicate that, but I just don’t get what’s different from V2 to V3 in this regard. Have you tested V2 without trq’ing them? No sacrificing in accuracy, you can see that in my preview post easily. I’m constantly removing and re-installing the V3 pedals for rides (every ride right now actually, on purpose). Never once with a torque wrench. And yup, I tested V2, and while it was better than V1 without torque, it still required really cranking down. I don’t know the exact technical details of why/how this was accomplished, but all three vendors got to this point now. I was able to show very easily on the BePro for example that not doing so (and even if you did) still took settling. As usual, a super article. I am about to take delivery of a new bike with disc brakes. Currently I have been used a PT hub. Works great. Unfortunately I was told that can’t use these hubs with disc brakes which makes sense. Are you planning an update of this topic in the near future. 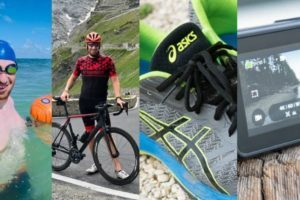 I know you have done more reviews, I just read the latest post on pedal power meters, but assume that it doesn’t get incorporated in this consolidated post? At present I don’t have a wheel with disc brakes, so it’s not something I’ve dug into a lot. Given only the PT hub would be impacted by that, it’s harder to figure out a place to piece that. The good news is that with crank spider based, if you select carefully you don’t need new cranks. I think I got this part in your article. My question was more related to the difference between the S and the full Garmin version. And if I’m right are the upgrades in summary always more expensive than buying the full set up front (100+). I think I will wait for your full review of the Garmins to better understand the difference between both. A spider unit is not an option since all my 3 bikes have different cranks. When talking accuracy above, is it actually precision to which the numbers refer? If accuracy (proximity to “real” values) is the case, do you know how they are performing the tests to determine that? Precision is self-defined: how repeatable are the values. I’ve had the P1’s for some time now and have had to send them back twice before they provided a replacement pair: so dependability is a concern. I’ve also run them side by side with a DZero unit and the #’s produced were within +/- 2% of each other. This speaks to accuracy and precision both. And thank you for the comparison/review. Very helpful. I pedaled through a turn in a race the other day (which I normally do not do) and caught one of my P1 pedals. It sucked, came pretty close to wrecking. I call it my fault, because with how hard I hit it probably would have happened with other pedals. My question is did the Xpedo/P1 cleats work for you on the Vector 3? Yes, Xpedo/P1 cleats did work for me within Vector 3. That’s actually what I rode this entire time until three days ago when my cleats got so bad I needed to replace them. So then I stuck on the Vector cleats. That of course worked flawlessly with Vector, but actually didn’t work well with the Favero unit. Do any of the pedals officially support their use when used with pedal spacers/extenders like the ones from Bike Fit? I use 20mm pedal extenders because that’s worked the best for me when I got my bike fit (it keeps my knees in the correct position). I know the older Garmin did not because of the pod, but it looks like the newest version would work with them. Hm…am I going to shoot myself in the foot if I purchase the P1s now, given that they’re the only one of the three that is 2+ years old? I like the idea of a pedal based system and they seem to be the ones for me, but I don’t want to buy it only to have something new come out in a month. There’s nothing else on the horizon, you’re safe. You’ll see some minor power meter announcements this week at Interbike from other companies, mostly just the usual Interbike price shifts and secondary model type announcements and such. All announcements would be made by 9AM Pacific on Wednesday. Sweet. Thanks. My first power meter! So excited. I scraped a Powertap P1 the first day I rode it, despite never having scraped a pedal in the two years prior that I’d used Shimano SPD-SL. As is my tendency, I was being aggressive in a descent, powering out of a corner. If you coast through corners in normal outside-pedal-down form, it’s of course not a problem. The very hard scrape and the accident it almost caused scared the crap out of me, so I stopped being aggressive that way. Nevertheless, I still managed to scrape the other side a few months later. I would not recommend Powertap P1 to aggressive descenders with 175mm cranks. Re cornering: I had P1 for one month and on two or three first rides I hit ground twice by left pedal and once by ritgh pedal with my 175mm cranks. So both pedals had scratches from the ground. After that I change my habits during cornering and didn’t hit the grounf any more. But it’s not a rare thing for P1 I beleive. Now I’m waiting for V3 and hope it’s form factor will prevent any ground touching in the future. BTW, left pedal of my P1 became faulty after 1800 km and I returned it to the seller by warranty and just after that I knew about V3 and decided to switch from P1 to V3. For me P1 is a not relaible product. Sorry. Hi Ray. Thanks for the very timely post. I was just about to click “buy” on the powertap, but then I saw the comments about the lack of android support. Also the comparison of weights is a turn off. I’m looking at the best way to spend money, I mean meaningfully upgrade my CAAD12 ultegra, and since I already have good wheels on it, I figured the power meter would be the best way to get faster. I don’t like garmin because of their proprietary mindset (like you said, no garmin gps = no data for you!). I now don’t like powertap because no android. I really really like the spidering on the caad12 (so light and pretty) so I don’t want to replace it for a crank based power meter. And if I’m going to fork out a bunch for a power meter, I want to know what each leg is doing, how and where I’m applying power (and what I need to work on). Any advice? Getting a bit lost here. Here’s the thing: All advanced pedaling metrics from all companies are proprietary at the moment. Nobody is sharing anything. PowerTap could certainly develop a Connect IQ app and the stats would show up on a Garmin. Pioneer could do the same, but they keep it in-house (not a pedal, but same concept). Same with Stages, or Verve, or anyone. 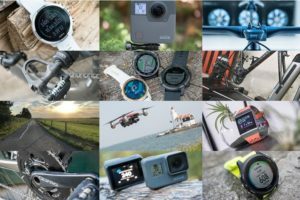 And all of these companies (even including Garmin), could have proposed a standard update for the ANT+ power spec. Had any of them done it, Garmin likely would have had their hand forced to open up the standard. So in some ways, these companies are all a bit of the pot/kettle here. And if metrics are the thing – then Favero is lacking them entirely. Fwiw, 3rd party apps can at least access Garmin’s recorded metrics, even if they do require at present a Garmin head unit. Of course, the real reality is whether or not these advanced metrics mean anything. If not (and generally, I don’t think we have enough data to say they do), then any units will be solid. 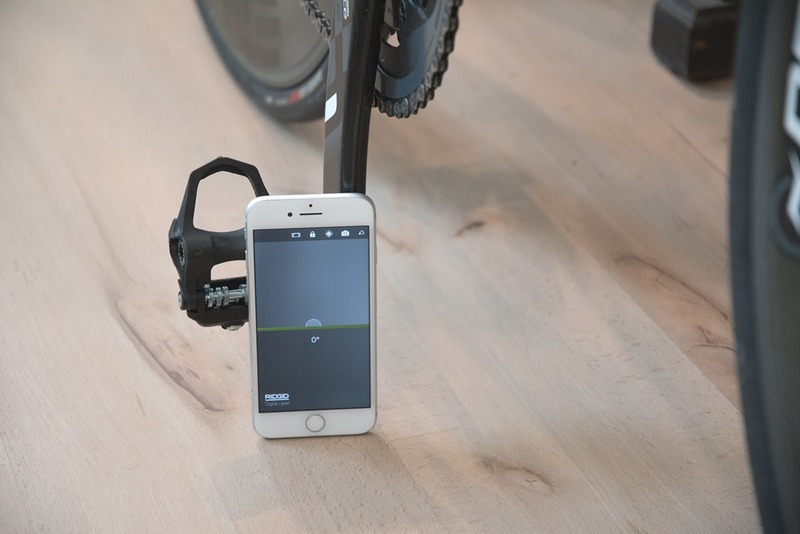 Even if on Android, PowerTap’s firmware updater works just fine there (via their partner app) – so that’s not a roadblock. I’d also caution that no research at this point has shown that you should try and change pedaling balance. Almost every bit of evidence I’ve seen show that attempting to do so reduces overall power output (aside from injury recovery). Great review. Thoughts on Vector 3 vs Quarq Dzero. I can’t decide. I have P1’s now, second pair (first pair broke down and was replaced); I would settle now for Assioma’s. From a metrics view while cycling: I think the Assioma’s are just fine. You look mostly a general power output, perhaps some left/right balance and in most of the cases that is it. Perhaps indoor when trying to do specific training you can perhaps have some benefit from it or coming back from an injury. But otherwise I wouldn’t miss it. 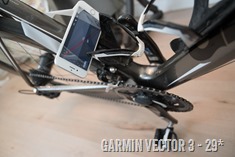 The Garmin Vector 3 look great and most will not even notice that you have power pedals. The choice for the type of battery however is in my opinion a minus. Some will find the Assioma’s rechargeable battery not so great, but think: no purchase of batteries, just recharge and presto (you won’t find the extra costs back in the energy bill). Ah, well: going to see how long my P1’s will last and by that time prices will have come down. I note your reservations with single sided power pedals, but the majority of my structured training is done indoors on a smart trainer, outdoor power for me is mainly used for pacing TTs etc. I would also like to move pedals across a few bikes and also some rentals when away, would this set of circumstances change your view on single sided, or do you still believe them too compromised? I think the challenge is that single-sided power measurement is still quite variable, especially depending on your usage. Things like Best Bike Split really struggle, and that’s all about power pacing for a TT. At the same time, if you travel a bunch, and want at least some form of power on that rental bike to work with – it might be the balance one has to take. One thing I can’t find, is whether it is possible to get the Garmin Cycling Dynamics metrics with the single sided Vector pedals? Clearly you won’t get the metrics that rely on left/right balance, but is it an all or nothing? Some of the power phase stuff is interesting and I can’t see any reason why some of it wouldn’t work on a single sided only solution. Is it possible or do Garmin just disable the who lot on the single sided variant? Do any/all of the three report a useful battery status? Ideally in a percentage? I know ANT+ sensors typically report a low battery state. But I’ve not found this reliable in HR straps and the like. I’m not aware of anything. The problem is that honestly the battery state is a complete swag. The challenge with coin cell batteries is that it takes a bit of time to stabilize, and so the low-battery state is more or less the most obvious point where the battery stability has deteriorated enough that it’s easy for them to pick it out. I have a set of the PowerTap P1S pedals, which when I first purchased them had no upgrade option to buy the right hand pedal and have the two pedals measuring power. 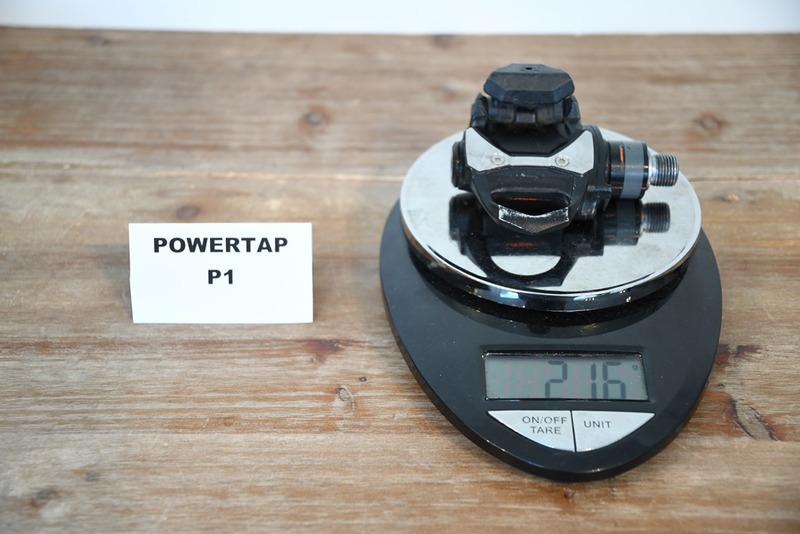 In the review above you state that all three companies allow single sided measurement to be upgraded to dual sided but when I check my preferred retailer’s websites as well as PowerTap’s website I see no mention of this upgrade option. Is this just being rolled out? Do you have to contact PT directly? Do you know what the cost is for the upgrade? 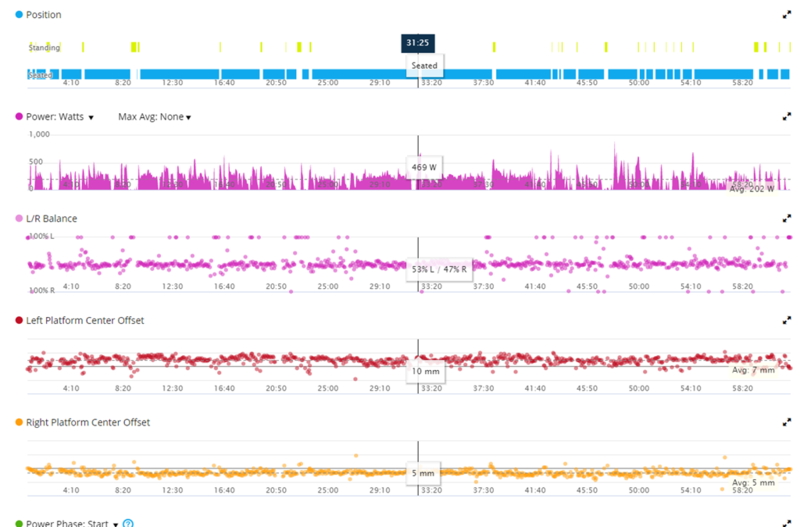 A question about the left-only variants (specifically the Garmin, but I guess for the others too) – do they allow you to input a known left-right imbalance, and then correct for this in the power value broadcast? I believe that the 4iiii Precision do this for their left only cranks (? 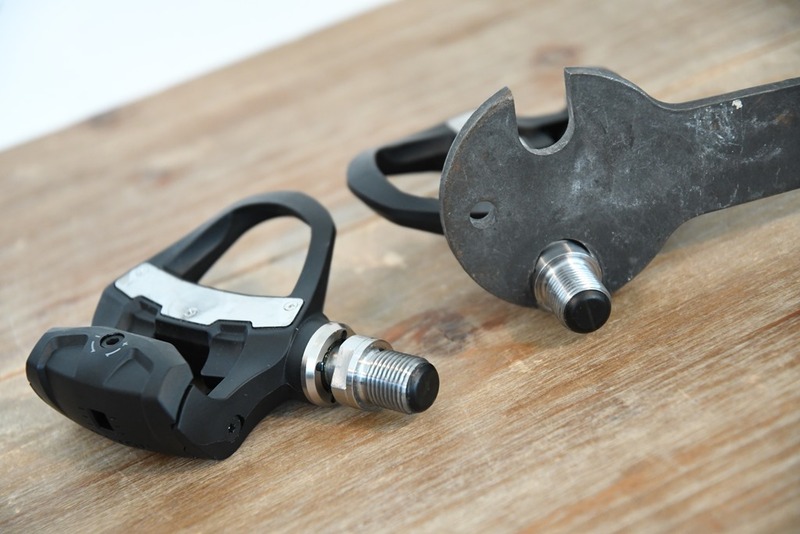 ), but given the likely-upgrade paths and crank/bottom bracket compatibility issues, a pedal-based option is much more appealing right now for someone on limited budget, but likely to upgrade in the future. PS: if you know of any other power meter system that would work on a fixed gear bike please do let me know! Hi Ray, great job…but i have 2 questions? do These pedal PMs work fine with eliptical chainrings like rotor q-rings ?? If i train on a smart trainer like the direto (which i suppose uses its own embedded PM to be ‘smart’) how can i make the two power data ‘consistent’ ? if i train all winter time indoor with direto power data and then in spring i ride outside…the difference between elite and garmin PM could be significant?? Of the three, only the PowerTap P1 properly supports them (non-round rings). As for matching, I think you’ll find the Direto and P1 very similiar. But you can also use features like TrainerRoad’s PowerMatch to match the power levels based on a power meter. Thx Ray , just a crosspost question. do u think that non-round rings can affect power data with trainers such as the direto? No, non-round rings have no impact to trainer-produced data. The reason it impacts certain power meters is due to the way the speed is sampled on the rotation of the crank arm. That doesn’t apply to a trainer as it’s measured/calculated within the trainer, which isn’t impacted there. I’m building a bike and have the option of a crank based power meter (dzero or P2M) or pedal based (Assioma or Vector 3), what would be your decision if you had the choice and price wasn’t an issue? 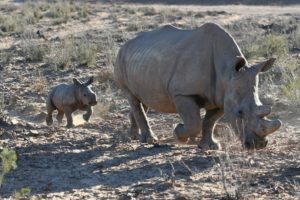 Ray- So just to be clear and sorry for the newbie question. I’m running a Garmin 820 with Assioma Duo’s. I’ve noticed that some of the cycling dynamics data does not show on the Garmin. Do you know what data (below) should be supported and viewable through the 820 with the Duo’s? The Assioma pedals will do none of those metrics. Technically speaking those are just normal ANT+ power metrics that have been around for years. No Cycling Dynamic metrics at this point. So the ability to have them transmit addition metrix such as standing and sitting times as well as offset (PCO) is essentially just a firmware update? A) That various power meter companies accept into the ANT+ Power Meter TWG their adoption of the Cycling Dynamics spec that Garmin provided during the meetings two weeks ago. B) That companies then adopt that in their own products. C) That Favero spends whatever dev time is required to correctly implement that. I don’t foresee that being a very short term thing for Favero. I suspect it’ll be easier for the likes of PowerTap and Pioneer, who have been doing more in this particular area for longer. Ray, would appreciate your thoughts about the question asked by Andy. I have the similar one – what would be your decision if you had to make the choice between the quarq dzero/p2m NG Eco and Favero? I have no issue regarding pm transferring between the bikes but still find it’s hard to make a certain decision. Thanks again Ray. A much appreciated clarification. All are solid power meters. I’d really just focus on what you want out of it. If you want aspects like true left/right balance, then pedals would be better over spider based (P2M/Dzero). Meanwhile, if you don’t care about that, and prefer some of the longer battery benefits, than usually the others are better there. B) Dealing with SpeedPlay as a brand, is generally miserable, for 3rd party companies. Hi Ray, do you know anything about the release date on the Vector 3? Sold my old bike, just got a new one, need a PM ASAP. I just called Garmin, they said retailers usually get the product first, so I should check with LBS first. Any clues will be greatly appreciated! 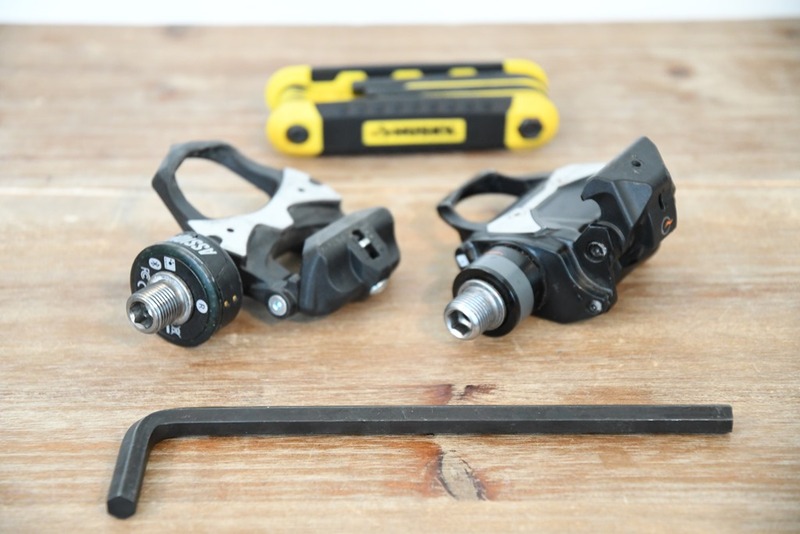 do you know if you can buy a dual sided set of power meter pedals (any of the above) and split them to use as two single sided power meters on two separate bikes (mine and my wive’s bikes)? No, generally speaking not. The reason being that in all of these one is considered ‘the master’ and thus it’s the one you get first. UK Vector 3 release date delayed again until December on Evans cycles. The vector 3 looks great but I’m losing confidence when they can’t even release them on time. I have not had an email yet pushing the date back on my Evans Cycles orders, so that might be for new orders… I hope that is the case. Received mine today. Pre-ordered from sigma back in September. Will the Vector 3 transmit both left and right power to Zwift or only single sided and double it? 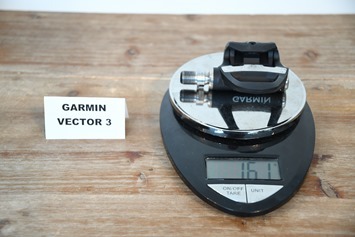 Can u please tell me about Garmin Vector 3 weight. 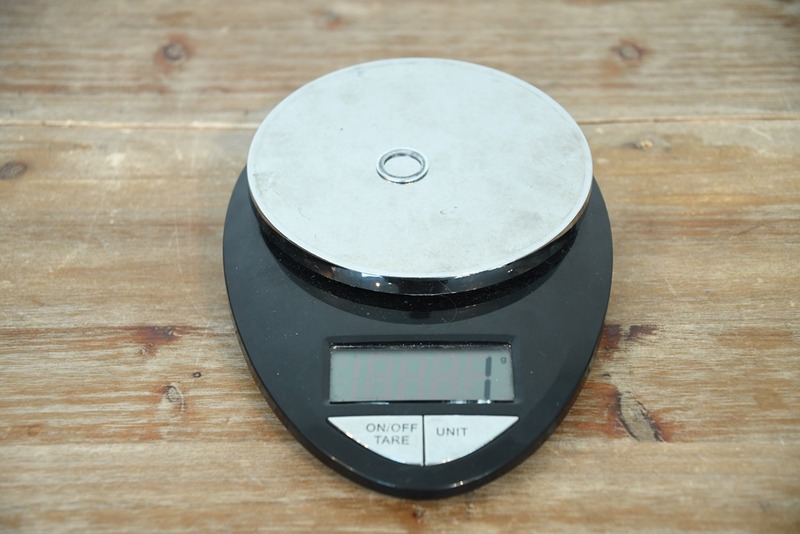 Are u measured with battery’s installed, or that’s the weight without batteries? 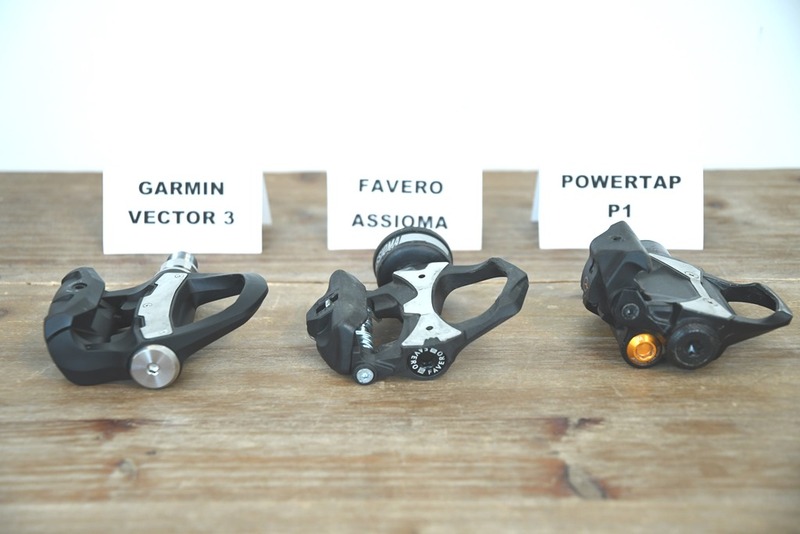 Considering today’s Black Friday pricing, what would you recommend between the powertap’s $750 vs assiamo’s $630? That’s a really tough one. 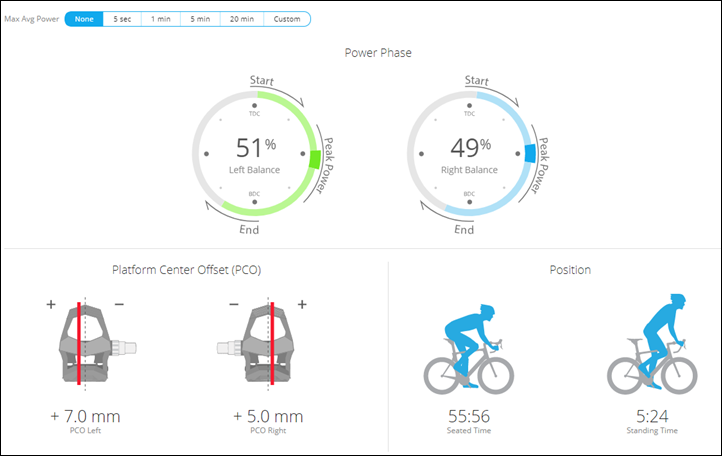 From a specs standpoint I’d probably go PowerTap P1 since it has advanced metrics that the Assioma doesn’t (and thus is more likely to get official Cycling Dynamics metrics sooner). On the flip-side, $120 is still $120, and that buys a lot of cookies. I’d probably just narrow it down to which look you like more. Thank you for the thorugh review! Hats off, really! Im planning on getting the vector 3 and very much interested in L/R power differential and pedal offset and smoothness. I do not however use Garmin head unit, Im rather a fan of the Element Bolt. Would I be able to get these metrics in real time, during the ride without a Garmin head unit ? Realistically no, not really. They vary every second or so, and the nuances is too much. You will get left-right power balance though. Just not the other ones. Considering some sort of a power pedal or wheel. I like the ideas of pedals as they move easily and can go between road and mountain (i understand not the best for MTB, yet on certain trails it may work ok). Left/right balance on the road would be interesting as well. That said, I am a Shimano pedal guy, where I use SPDs on the trail, and SPD-SL on the road. Look Keo is not a great option. Also, I am 6’4″, 235#, so that knocks the vectors out of contention. I am leaning on the Powertap P1, yet it seems dated after reviewing. Whatever I get, I plan on keeping until it or I break. The other option is a GS3 wheel. 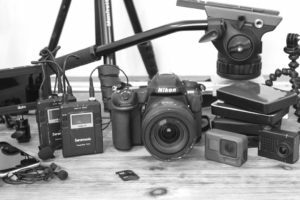 These are workhorses, lower cost, and easy to setup & use as well, reasonably portable, although they couldn’t be used with my MTB. Thoughts on how to proceed? Regarding the P1s. I’ve had a pair since May and they’ve been pretty good (although these are my 3rd set – originals bought in March). Like the other P1 owner above, mine have recently started dropping out at high power. 900W+ and big gaps appear in the data. Is this a known problem? Thinking of sending them back but as it’s intermittent they may not see it. Unfortunately, about the most I can put out is about 1,000w. But I haven’t seen anything as I approach that. Hi, why you got a “-” at “SUPPORTS HANGING WEIGHTS (STATIC TEST)” on assioma? I think it does so! Nope, not to my knowledge. I haven’t seen any documentation on doing so (where you can hang a known weight off of a unit and get a torque value). So I recently purchased a ‘reconditioned’ set of P1 from their website. The bearings, whilst ‘usable’, are really terrible compared to the ancient Shimano pedals I have been using— it’s stiff and the pedals don’t automatically rebalance when I rotate the crank; there’s a noticeable whirling sound when I slowly turn a pedal with my hand. And there is slight play as well. Would appreciate if anyone could just confirm that this is NOT how the pedals are supposed to function, especially just out of the box. Probably gonna be a pain getting it fixed/replaced from where I am at… Any idea? Does the accuracy depends on cadence? What is the lowest cadence for good power values? Great review as always Ray. I bought the double sided Powertap pedals around May 2017, and within a few rides play was developing in the bearings more so in the R/H pedal. After around 2000 miles I considered the amount of play excessive, my local bike shop agreed and sent them back to the UK supplier who replaced them with brand new pedals. However as brand new unused pedals never fitted to my bike, there is a small amount of play present in both pedals for starters. These will be sold on as I have no confidence in the mechanical aspect of P1’s although the performance regarding power measurement is superb. 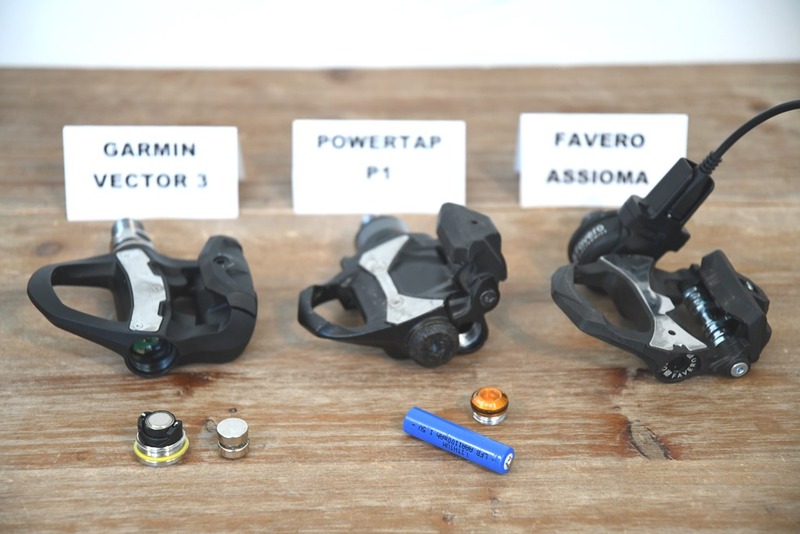 Also Powertap are not forthcoming about servicing these pedals as they have to be returned to the US at great expense, in contrast Assioma will supply all the mechanical parts and instructions you may need for service/repair. I have replaced the P1’s with Assioma’s and am very satisfied with all aspects the bearings feel much smoother than Powertap and have zero play. Garmin always have sh*tload of issues around connectivity, so trying to stay away from the Vector 3. Sorry JP, I have only used the Assioma with Garmin head units, which are both ANT & BT, I’ve never used them with any BT only device so can’t give you an honest answer. Further to my earlier comment. Out of interest I downloaded an app to my Moto G5 which is BT capable only and not ANT – I’ve just done a steady 30 minutes on the Turbo. The phone quickly recognised the Assioma’s and the phone recorded the full 30 minutes perfectly without any drop out’s at all. Hope this helps! Really want to replace my crank (bb30a on a Caad12) but my pedals aren’t great either – 2nd hand on the bike when i got it. Might want oval chainrings in the future though.. so would I be safer getting the Garmin pedals? thanks but.. why would the vector 3 pedals not be compatible with oval rings? the cadence or power measurement? oh dear.. so i would have to use a rotor power meter crank? The only units that are compatible today are: PowerTap P1, PowerTap G3, and ROTOR. In theory Power2Max claims compatibility, as does WatTeam, but I don’t believe anyone has independently proven/verified that. Ok thanks a lot man.. Rotor are a bit pricey, and you’ve the vector 3 read well.. Might have to wait for the asymmetrical rings then! I am realy not sure what to buy. I am 103 kg, 196 cm. Indoor (on Elite Direto/Zwift) my FTP is about 370 W and max. Power is about 1500 W .
I would prefer the Garmin Vector 3 because of ther look and the big name “Garmin” behind it but i am quite close to there limet of weight and I am doning about 10.000 km a jear. Are the Favero stronger built or is ther hardly any difference? 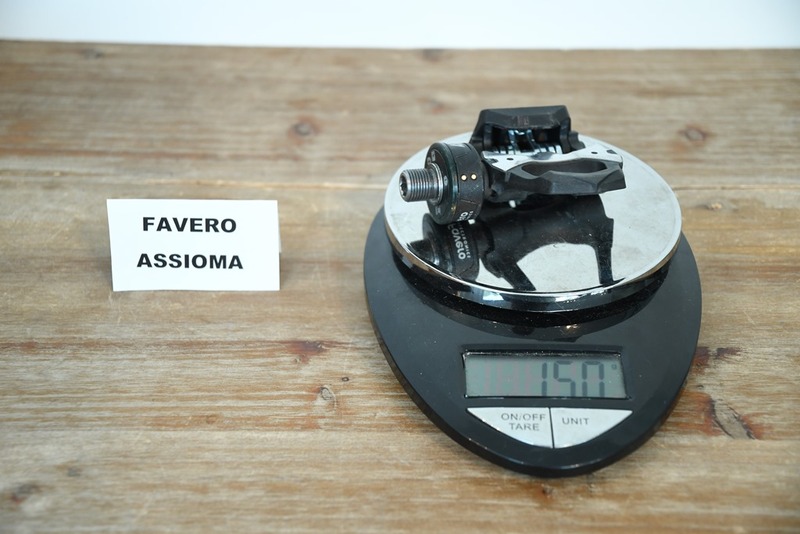 Should a heavy guy buy the Favero because of the 15 kg more for the rider weight limet? Ray, I am new to your site, but very impressed. I read the info re the 3 pedals with great interest as I am going to buy one of the types. After reading your info, I decided to get the Vector 3 pedals as I have used Garmin computer for years and like the product and company. Stockage/availability is tricky. In the US (and a fair bit of Europe), stock mostly caught up just before Christmas, but then slid back into backorder status for January. They were still making/shipping units every week, but just no longer enough to keep up with the increased demand. I don’t know if there was also a blip in there of production either. From what I gather, for new orders right now (at least at Clever Training), they’re looking at early March (so 3ish weeks away). Existing orders are still being fulfilled weekly. For other retailers, it’s tricky – as it largely depends on when they placed their orders. For example, retailers place orders before or at launch for units they think they need. For really hot products, smart retailers/distributors will place enough orders out for a number of months (i.e. 6+ months). For less hot products, they’ll be light on orders, and just fulfill when needed since they can get product in a few days. Note that orders doesn’t directly equal fulfillment though, as Garmin doesn’t entirely prioritize on order volume alone. Instead, they (Garmin specifically anyway) like to ensure products aren’t sitting on a shelf, but rather being sent to customers with backorders. On the flip side, if a retailer only ordered in December, then they’re probably behind a queue of other retailers with backorders placed earlier, even if the customers themselves only ordered in January. Great overview first of all, much appreciated. I’d like to ask whether you / anyone is aware of any ‘how pedal based power meters affect crank thread’ kind of study? I mean I like the idea – and actually just about to purchase one pair because of 3 bikes – of swapping but it might cause damage in crank thread. Is there any correlation between thread problems and too much swapping? Personally, I wouldn’t do pedal swaps as frequent as once per week – for exactly what you noted. It’s not that there’s any specific issue with crank threads and putting a pedal in and out, it’s simply that we all know that all of us (if doing it weekly, or even every other day as I’ve heard one person want to), will eventually get lazy. That tiny spec of sand will get into the thread and we’ll be running behind schedule and just try and jam it through hoping for the best. The best will fail us, and then we’re screwed. Basic data, yes (total power, cadence, left/right balance). But not Garmin’s Cycling Dynamics metrics, though, Wahoo could support it if they wanted to. Thank you, that was better info than Wahoo support could provide. Garmin 3 have a major issue with the battery replacement…. but what about the P1 vs the Assioma…. which one is better talking about the precision? Out of the weight…look… and battery… which one is going to give me better information? Garmin has an issue with Battery replacement? I have replaced the battery twice without issue… Or do you mean they don’t last the 120 hours? In January I managed to get some Vector 3’s which I set up on the turbo, during the first training ride the indicated power was so high from that my normal expected results that I suspected faulty pedals. Each test consisted of a steady paced ride on the turbo – 15 minutes at a simulated speed of 20 mph, cadence 92 rpm with 1 minute at 25 mph between minute 13 and 14. 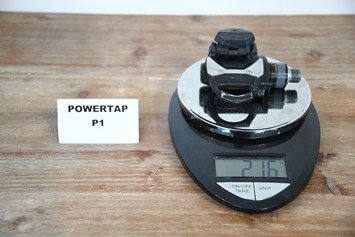 Fwiw: A PowerTap hub and a pedal based power meter shouldn’t show the same number. A pedal based power meter should be about 2-4% higher. If it’s not, one of the two is incorrect. Keeping in mind in mind that both can be incorrect and yet both be within tolerances when combining +/- 2% or +/- 1.5% levels. In general, unless someone can show significant wonk when it comes to power meter comparison data (i.e. 50w higher), comparing files from different rides isn’t really something anyone can base evidence off of unfortunately. 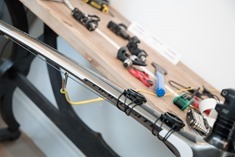 There’s just too many variables (for example, on a fluid trainer the fluid resistance will change, causing even back to back tests to differ slightly. There’s probably a dozen of these nuances that make small differences nearly impossible to compare when it’s not recorded at the exact same second). Agree and understand your comments, especially about the resistance change.to fluid based trainers as they warm up. However just to clarify regards to my set up my turbo use’s air resistance via a fan, the power meters compared were all pedal based ie PowerTap P1 pedals, Assioma dual, and the Vector 3’s. 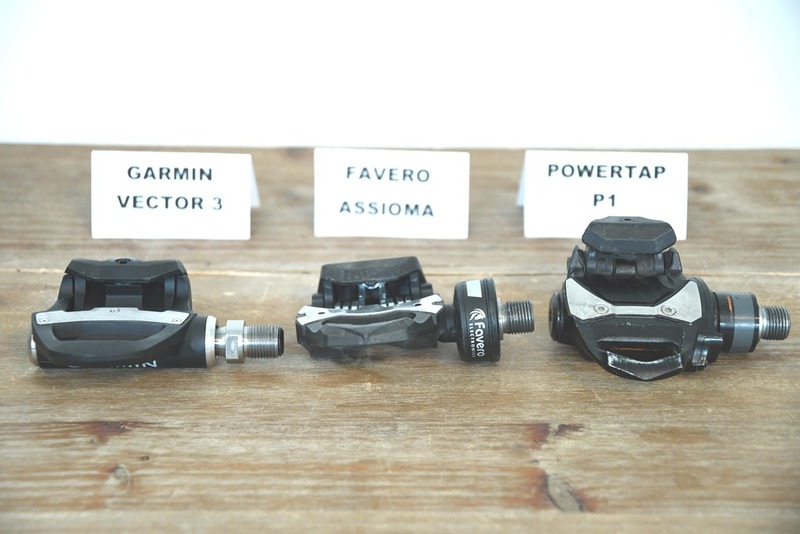 I have done much comparison testing apart from as mentioned in my original post with the PowerTap and Assioma’s always very close and the Vector 3’s always reading massively high enough to convince me of faulty product. With hindsight it’s probably best to own only one power meter then training results and fitness improvement would be shown despite actual accuracy of watts displayed. I forgot to mention, the easiest solution may be to just transfer the P1’s or Assioma pedals over to my trainer set up. Would there be conflicting pairing issues. I use TrainerRoad road for all my indoor structured work. Any other ideas that may work?? Having owned both predecessors to the Assioma and the Vector 3, here’s a quick summary of my experience. This seemed rather odd as I had always taken good care of the pedals, the rubbing which is almost entirely unavoidable is to the black protective resin. 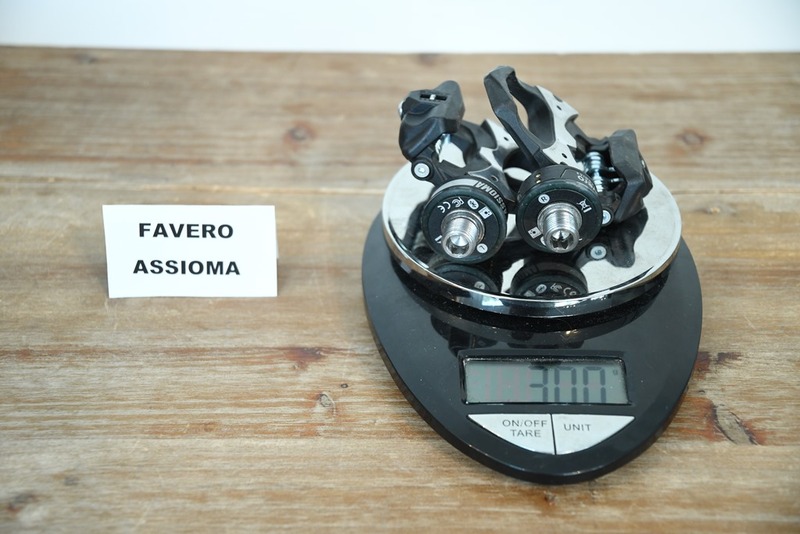 The pedals were problematic, customer service non-existent, would not buy another Favero power meter. As a replacement I purchased the Vector 2s. The pedals worked fine for several months until the battery ran low and needed changing. After changing the battery the pedals worked briefly, then stopped working all together. The retailer that I purchased the pedals through, returned them to Garmin. Two weeks later, an apology from Garmin and an email stating new pedals would be shipped out immediately. I would consider buying the Vector 3 even though I have no problems with my current Vector 2s. I would not however risk buying another power meter from Favero, no matter how much cheaper it is. FWIW, it looks like PowerTap has (maybe quietly) dropped the price of the dual-sided P1 to $799. 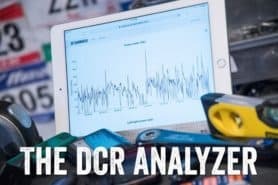 Hey DCR, the P1 is at $799 now. Garmin is still at $999. Does that make the P1 your hands down pedal power winner? Thinking of buying one or the other. I’m concerned about the pedal strike issues people have noted on the P1 (but I think my crit days are probably behind me) and considering that everything else I have is in the Garmin ecosystem I was inclined toward the Vector 3, but I prefer the AAA battery idea of the P1 and $200 will buy me a new saddle. So, at $799 you think P1? Ok I am about to pull the trigger, but cannot decide between the Assioma or the Vectors. Please help me decide. Vectors are very nice looking and I like that they use original Look cleats. I also like the cycling dynamics data. Although probably useless for me, I love looking at data! I am worried about reliability. I have read the about the battery issues. This would bother me a great deal. I do believe Garmin will sort it out and the impact is not everyone. Knowing my luck i would get the issue. I am a Garmin guy (watch and computer), but they do take for ever to fix anything. Assioma – Price is excellent and reliability seem good. Do not like the reports on battery drain in the car. Overall appearance is ok. In my opinion way better than the Power tap P1’s. Honestly, I think you’ve summarized everything pretty much spot on. It really comes down to when you believe Garmin will be able to put a nail in the Vector 3 related issues. The most recent update I got from them Friday evening was that they’re preparing to start shipping the new battery doors to folks. But again, we won’t know for certain if that’ll fix the issue for those impacted for probably some time after. Assioma is great, and the price even better. But again, purely a looks thing. I wouldn’t overthink draining in the car to be honest – I don’t think it’s a hugely widespread issue. John – FWIW, I ended up going with the Assioma’s. They’ve been great. I’m a numbers guy too but didn’t figure I’d actually implement anything based off garmin cycling dynamics. I still get R/L balance, candence, etc. more than enough metrics based on the amount of time I have to analyze and implement the info. I like the fact that they are rechargeable and you can plug them in anywhere. The battery life has been fine and I haven’t noticed a loss in charge. If I did lose it, I never noticed it. Thanks for the feedback it was great! I think my beautiful Campy Pinarello will be sporting Italian pedals soon*. Thanks. * Pending approval from the boss. Although she is usually fine with my need for biking toys. Good choice! Hopefully you get approval! I am on Campy as well. I found that I didn’t need any additional spacers w/ my Chorus cranks. I agree with Drew, Assioma is the best choice, believe me, I have experience of all three types, Assioma customer service brilliant, Garmin in the UK terrible. Great data point I have 2016 Chorus cranks as well. By any chance would you be willing to post a picture of how they look on your bike? I am a bit worried the pod will look bad. Even your opinion or description would be great. Hey John – Yes, I will take a picture tonight and post it. I was initially concerned too but it is the same diameter as my crank arm (so it doesn’t stick out on the side). Its not a big deal at all and looks fine in my opinion. Besides, once you clip in, you can’t see it anyway. I like the fact that its fully serviceable if anything was to go wrong. I have approval from “the boss”. She is awesome! Now I am waiting for the May Clever Training sale. Any comments on your favorite Look style cleat. I use Shimano Blue now plus or minus 1 degree. I am leaning toward Look Grey’s, which i believe are plus or minus 2 1/4 degrees. I am almost tempted to try black, no float, as I do not have a history of knee pain. Glad to hear!! I was on Shimano pedals but now I just use the cleats that came with the Assioma’s. They are the same 5 degree float and seem to work fine. I’d be cautious of using another manufacture. Just my two cents. Nice looking bike. Thank you for the pics. The second pic is what I was looking for. The pod is not very noticeable from 5 ft away. Thanks Everyone. Ray and the Dcrainmaker community are great. I appreciate all of your input. I think I will try the included cleats. I am so excited about the Assiomas. I agree all of the pedal based systems have some cons. That being said I have a Campagnolo groupset on my bike, so I think a pedal based system is still the best for me. I was set to buy the Assioma, but have decided to pursue other options. P1 are a great value but look too clunky for me. So, I am waiting to see if Garmin Vector 3 fix their issue. I am hoping the new battery door will resolve will do the trick. Do you think the issue of P1 and Assioma transmitting as separate pedals over Bluetooth is ever likely to be changed? And if so can it be done as a firmware upgrade or is it a hardware issue? I see more of a chance of Assioma addressing it than PowerTap. But I don’t see anything near-term on the docket. 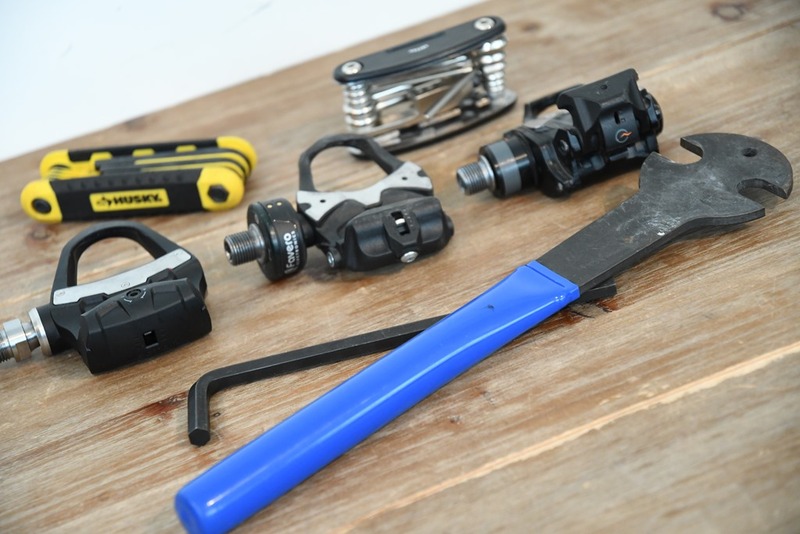 Although I’m mainly a road cyclist I do a bit of Mountain Biking – I would not recommend pedal based power meters due to the high chance of damage when negotiating rocks tree roots etc. They are far too expensive to expose them to such risks. Go for chain wheel/crank based systems. Hi. Great review. 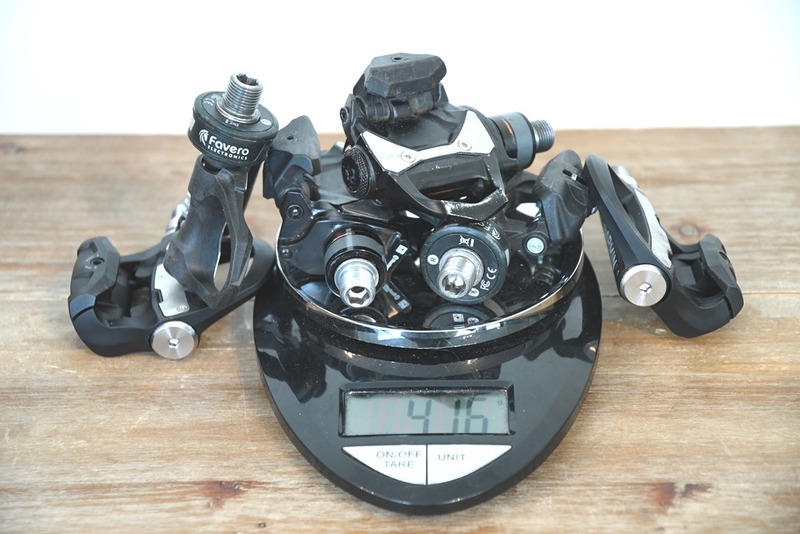 I have a lezyne y10 macro gps head unit and I’m thinking of getting some power meter pedals. Have you tried any of these with the lezyne head units? I have the Y10 Super GPS, and just got a set of P1 pedals. I have only connected them via ANT+, but it appears to work fine. I did connect them via Bluetooth to Rouvy on my tablet, to upgrade firmware and check out the advanced metric. I always enjoy the Rainmaker’s analysis. Hi, I have p1 pedals and a Garmin forerunner 920xt and am running into issues with the Garmin disconnecting the power meter (and therefore dropping power) every 5-10 seconds. I’ve unpaired, re-paired, updated software and firmware, done a factory reboot, tried it inside and outside. The pedals pair with my phone and appear to be giving me reasonable data, so the pedals appear to be working, aside from the Garmin connectivity issue. Is this a common problem? I haven’t gotten any help from either support teams. 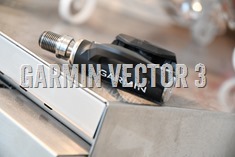 I have been hearing alot of stories about the reliability and water proofing of the Garmin Vector 3 pedals, is this a real problem? Has it been resolved? Any comments or thoughts? I don’t have the Vector pedals (I have P1 pedals), so I can’t say for certain. I DIDhowever, solve my problem by pairing my power meter with an older model forerunner with success, so Garm is sending me a new watch for the low low price of $100. Do head units (specifically Garmin) record power values when they receive them, or when data was produced in the sensor? Or put otherwise, do the head units take into account the transmitting lag? Update on my power meter experience, having owend bePRO (nice), P1 (great), Vector 3 (disaster) and currently Assioma. The Assioma is working like a charm, ergonomics are awesome and I have no issues at all. Regardless of the price, and even if they cost the same, I would go wholeheartedly with the Assioma again, it’s the best experience I’ve had. bePRO: was nice, but just too complicated in a scenario with multiple bikes, and the pods were a bit too big, especially with S-Works shoes. P1: they were very reliable and trustworthy. After 2 years, the axle went loose though, and I got a refund. In today’s market a bit too chunky IMHO. Vector 3: great ergonomics, clean design, but terrible data and disastrous reliability. Hands away! Assioma: the pods are *much* better than on the bePRO, installation as easy as it gets (the easiest of them all, thanks to the pods actually), absolutely reliable, and to me the most trustworthy company right now of the 3 (never problems, regular firmware updates). B) Power meters differ slightly in transmission types/rate (crank rotation vs time based), so in that case you can get slightly different results with identical head units. But yeah, aside from lag differences (Assioma a bit more, Vector/P1 a bit less), it’s all the same. The problem is with a single sided pedal, my Suunto then doubles the power. I never thought I’d be a power meter kind of guy and then last year I got a new fancy trainer and started to rely on all things power related. This year, out on the roads, I felt lost without any power data so I’m jumping in. I want to go with a pedal version because it seems like the cleanest way to add a power meter. Is there a best option based on current pricing of the different pedals? Great review as always! Please keep up the great work. Currently considering purchase of the P1 pedals. Have you heard any scuttlebutt regarding PowerTap releasing an updated P1? P1s have been on the market for quite awhile now w/o any serious hardware changes. And with the recent price drop (to $680) I’m always a bit leery (2nd drop this year); seems like they may be trying to reduce inventories. Not a bad thing but just want to be an informed consumer. 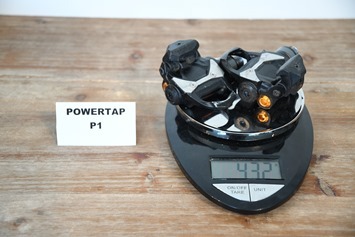 The P2s are due out in November, Check the Powertap website. They look good. I wound up buying the P1s via Clever Training. Took a bit of fiddling to pickup the numbers into my Lezyne micro GPS but it works well now, except for the calibration…it always “fails”. So I calibrate using the PT iPhone app. Really like the P1s! 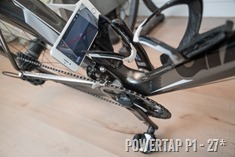 A couple questions to the group…does anyone use the P1s in spin classes? The nut on the LAF spin bikes is 7mm so doesn’t fit the P1s. Anyone know where (or if they’re even made) you can buy 7mm to 8mm “converter”? Such great information! I just signed up as a VIP at Clever Training and ordered the Garmin Vector 3s. I only wanted single-sided power (don’t kick me in the balls Ray!) because I didn’t want to geek-out on numbers…I just wanted a guide to see where I am at fitness-wise. So having the single-sided option, that will fit my bike, at least puts me in the ball-park for power readings, and saves a little cash too. In case it effects others…the other single sided variants (stages, 4iiii, Pioneer) WILL NOT fit on the crank arm of my bike: 2018 Trek Emonda SLR due to frame clearance.Thank you so much for these great reviews and for the VIP program at CT! Beware, Suunto doesn’t work with a single sided pedal system. It doubles the power received from the pedal which has already been doubled. My Suunto doesn’t do that. Thank you for the wealth of information! Very helpful in making my decision on which to buy! Garmin it is. Thanks again! So I have a Keiser M3i which I would like to be able to use with other programs like Zwift but right now I am just a Peloton app addict. This spring I plan to get a road bike so being able to change pedals seems like a good way to go. I like the idea of the Vector 3 with the capability to see the imbalances on each side because I have MS and sometimes my left leg feels weaker. Would be interesting to see how that data could/would/won’t be useful anyway. Do you have a suggestion in this case on which pedals would be best? Thanks! So, I thought I would share my experience as it may be an indicator of these pedals. I recently set up all three pedals. We talk about things that “just work”. The P1’s and Assiomoa’s worked great right out of the box. No problems at all. The Vector 3’s didn’t work right out of the box. Contacted customer service. Determined it came with dead batteries. Replaced batteries and the little cap broke. So, they are being sent back (at my expense) for repair. I think this experience speaks for itself. I’ve also had repeated issues with Vector 3 pedals. They are just not reliable. And the whole needing a magnet to change the batteries….wtf. I’ve bought a pair of Assioma Duos last March and have really enjoyed using them. Around October I noticed that they were not holding charge as long as they Should. I contacted Favero and they were very responsive and helpful. First they updated the firmware on then pedals to address battery management issues, and when that failed to resolve the issue they sent me new pedal axles and instructions on how to change them, I just had to cover the cost of shipping from Italy ($25). They’re working fine again now. Great product and a great company to deal with. I highly recommend them. I doubt about the pedal stack height listed here. Shimano pedals measured with cleats are 13.7 mm. Look Keo blade measured with cleats are 14.8 mm. I suspect that the measurements above maybewithout cleats. Otherwise, 10.5mm -cleats thickness make the pedal very thin. Just a quick question: I am in the market for pulling the trigger and buy my first powermeter. I am still hesitating between the Assiomas and the Vector 3s. I just wanted to ensure that there is no new device to be coming out soon. For instance, I am also in the market for buying a new sportswatch and I am waiting for the new Forerunner 945 that is expected to come out in a few week. “Expected to come out in a few weeks”? Where did you hear that?? I wouldn’t expect any new power meters from Garmin anytime soon. Historically Garmin has always timed announcements for power meters to Eurobike (or previously Interbike), and Favero has historically been on a two year cycle, usually timed to July (a bit before Eurobike). Oh boy! Looks like I’m looking to buy a set of Assiomas, only to have them become the previous generation pedals. I am looking to buy them for the preparation of a particular competition mid August, not sure I want to wait until July. 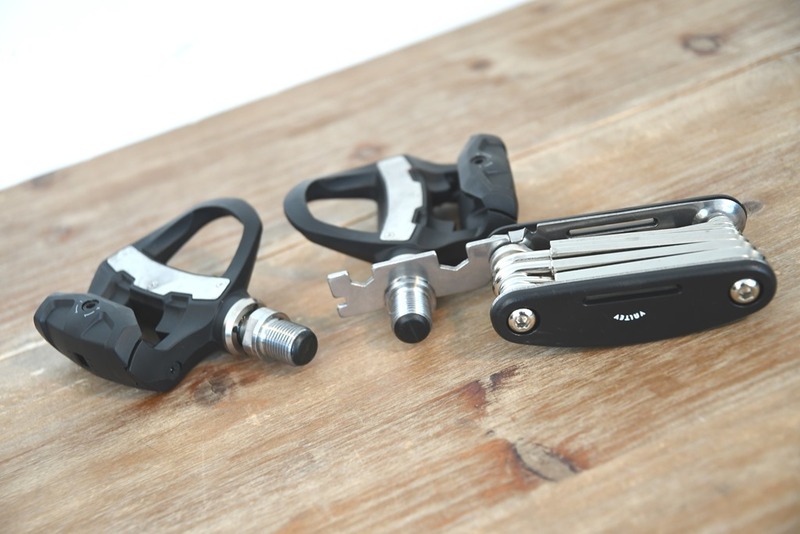 By the way, probike kit has the PowerTap P1s on sale for $610 right now, with coupon code TOP10, the dual set comes to $575 if anyone was so inclined.